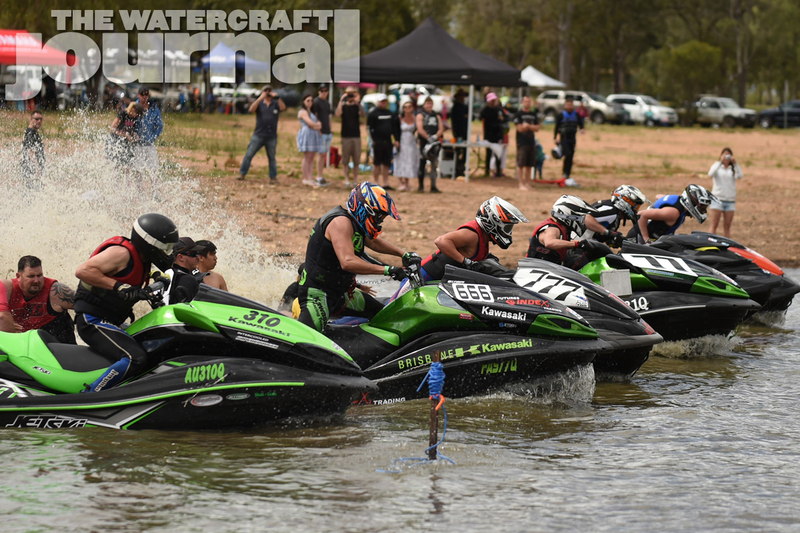 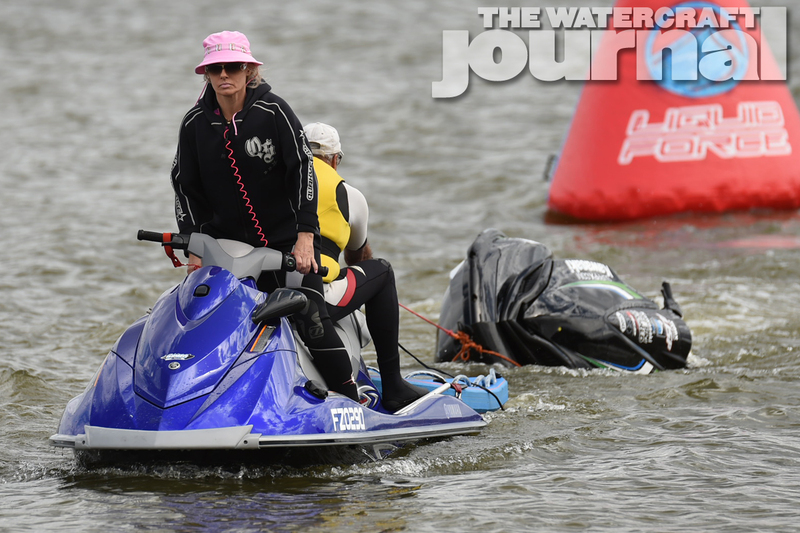 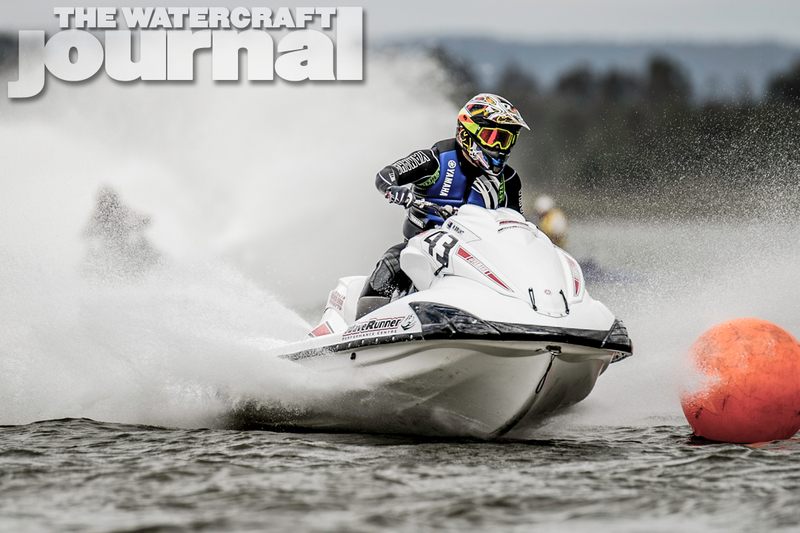 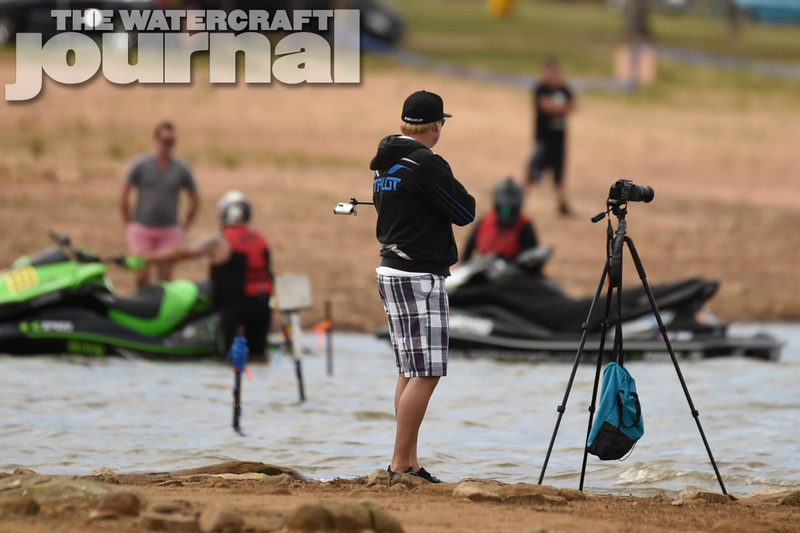 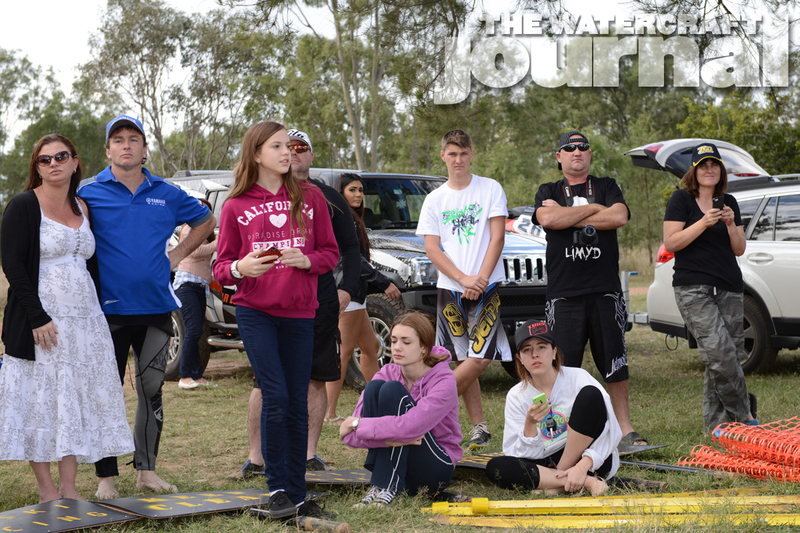 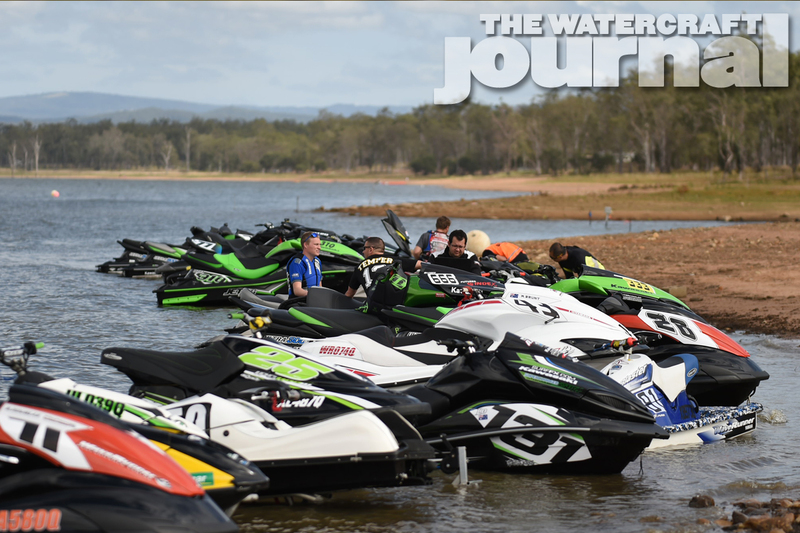 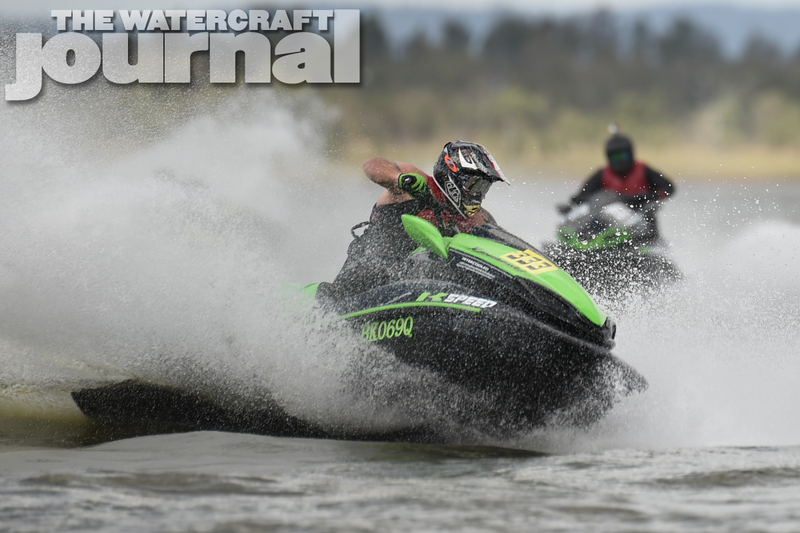 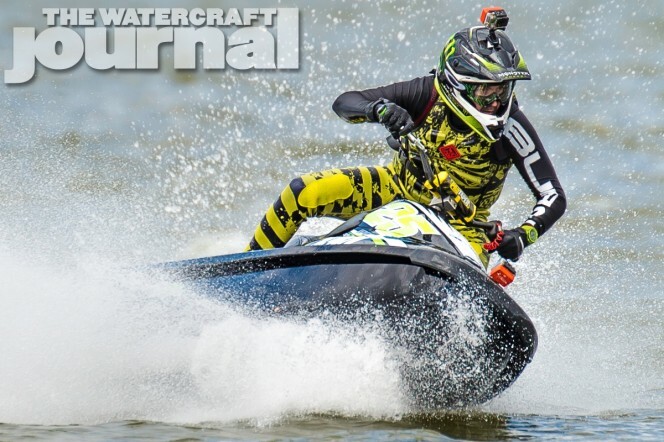 Gallery: QPWC Winter Titles Round 2, Queensland, Australia | The Watercraft Journal | the best resource for JetSki, WaveRunner, and SeaDoo enthusiasts and most popular Personal WaterCraft site in the world! 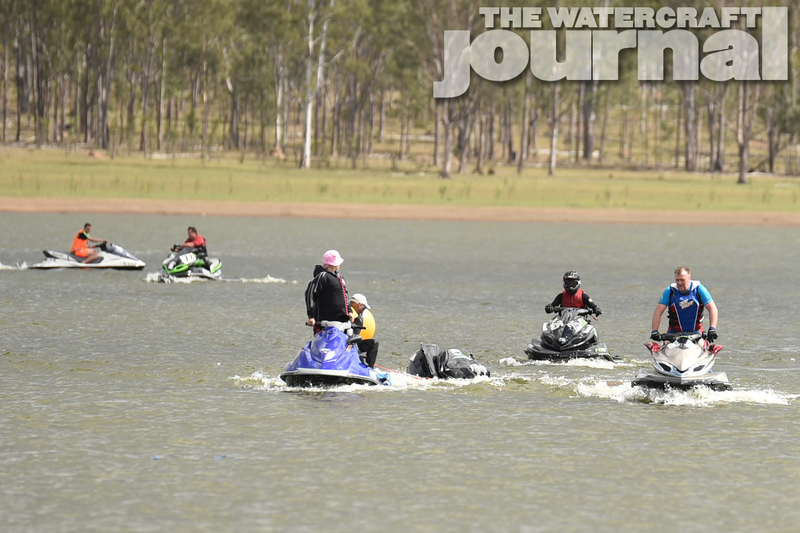 Father’s Day in Australia; what better day to take dad to the lake for a BBQ and maybe ride a jet ski? 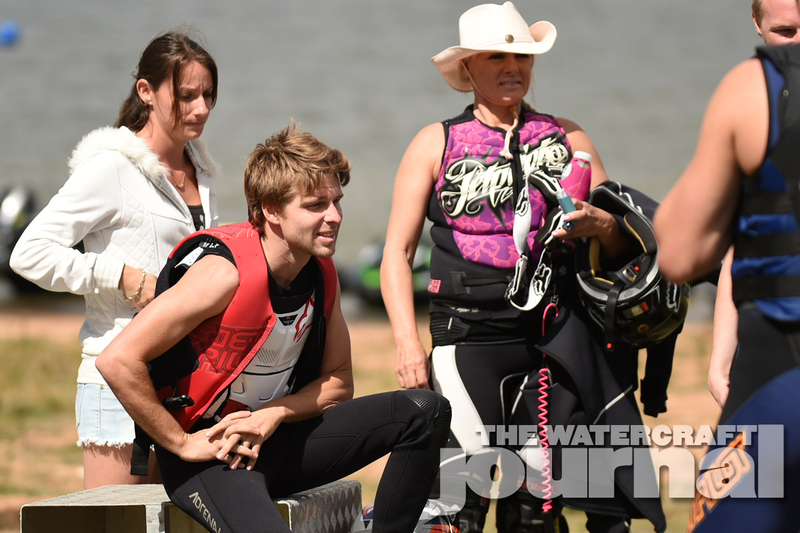 Well, throw in some racing and you’ve got a perfect day. 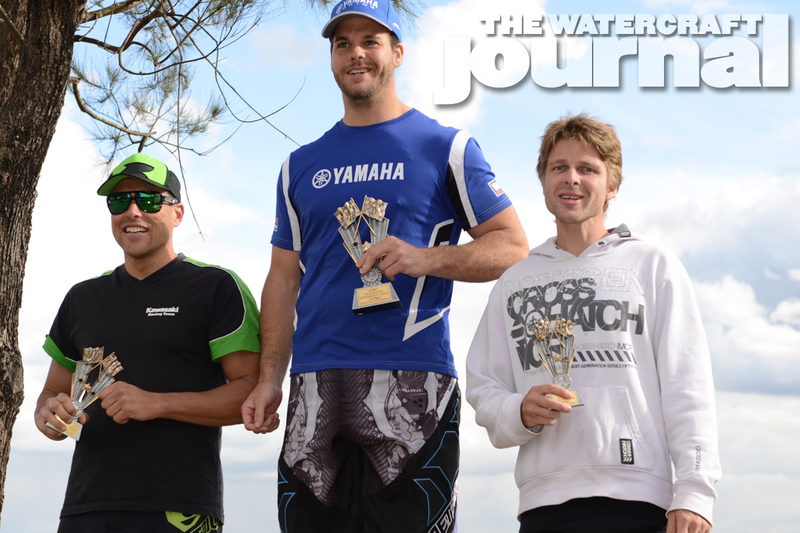 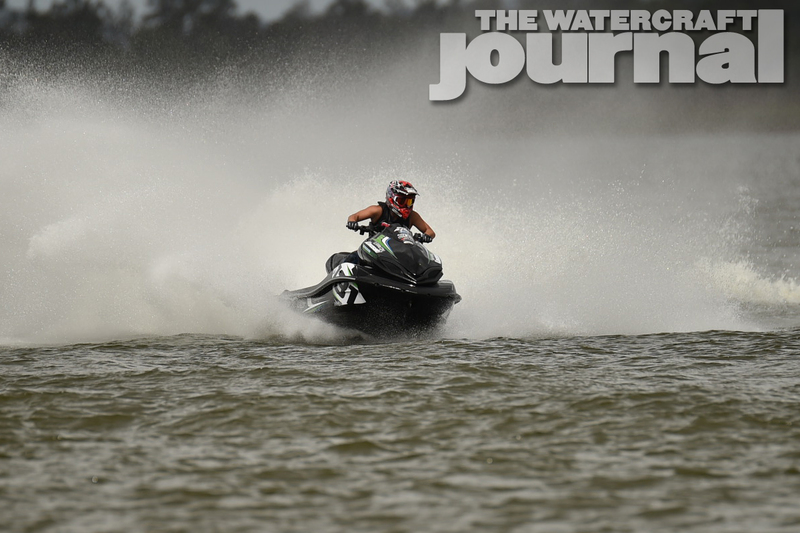 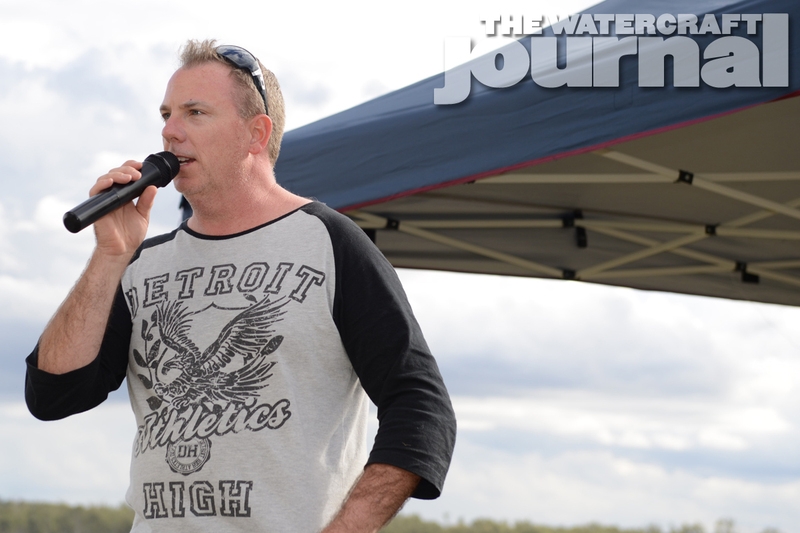 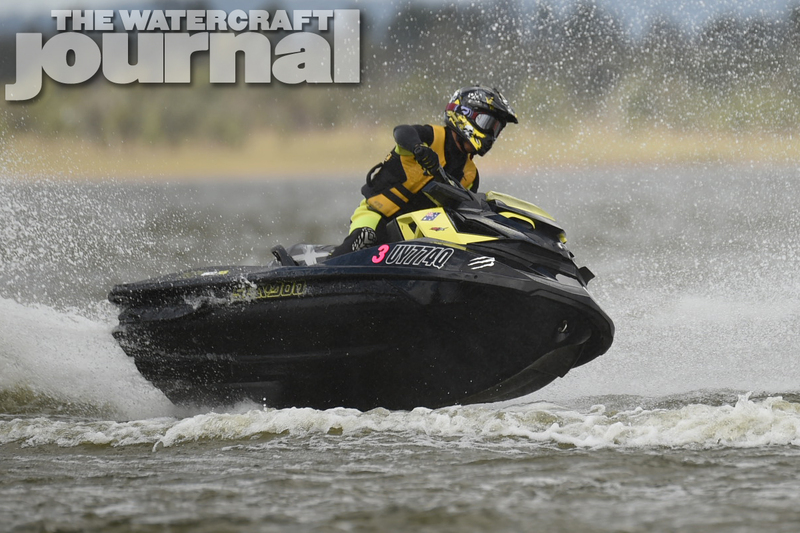 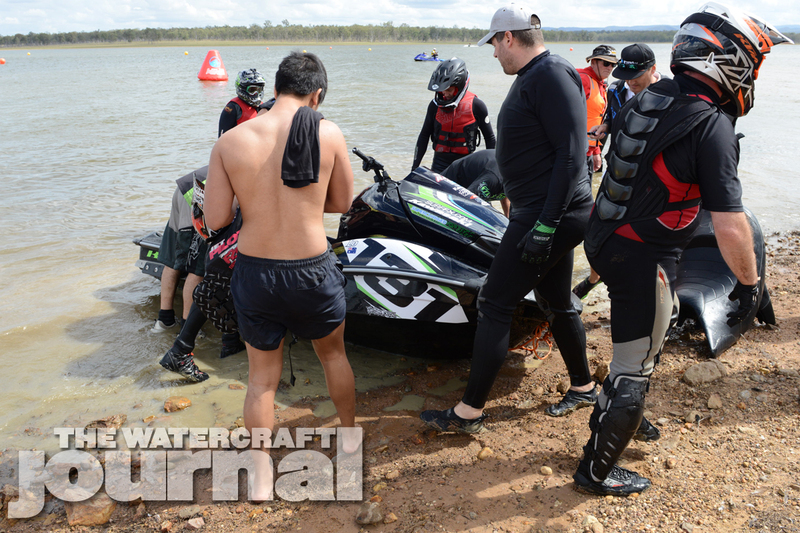 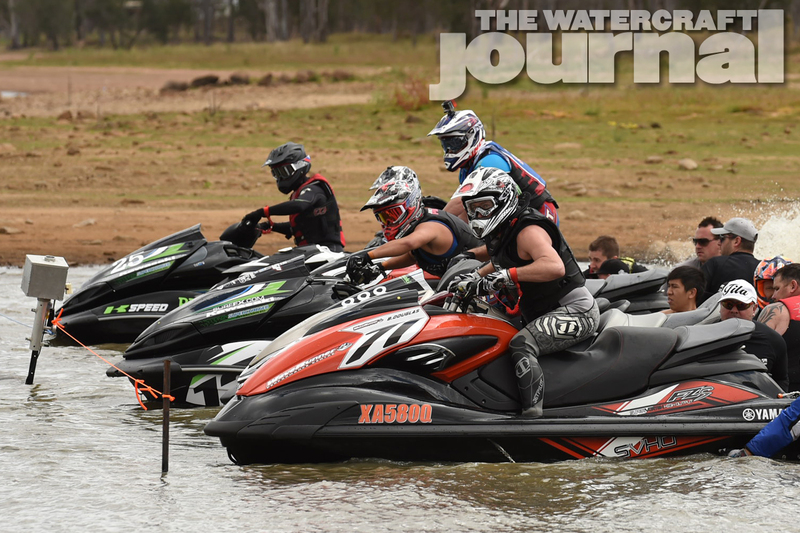 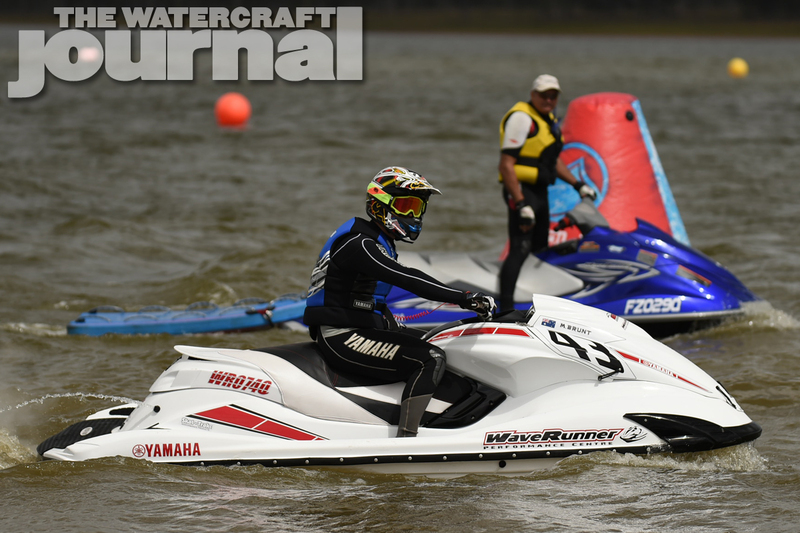 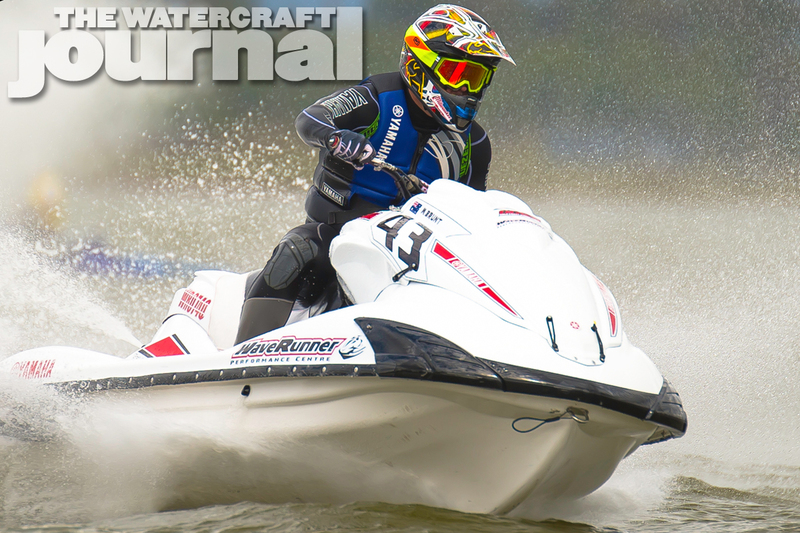 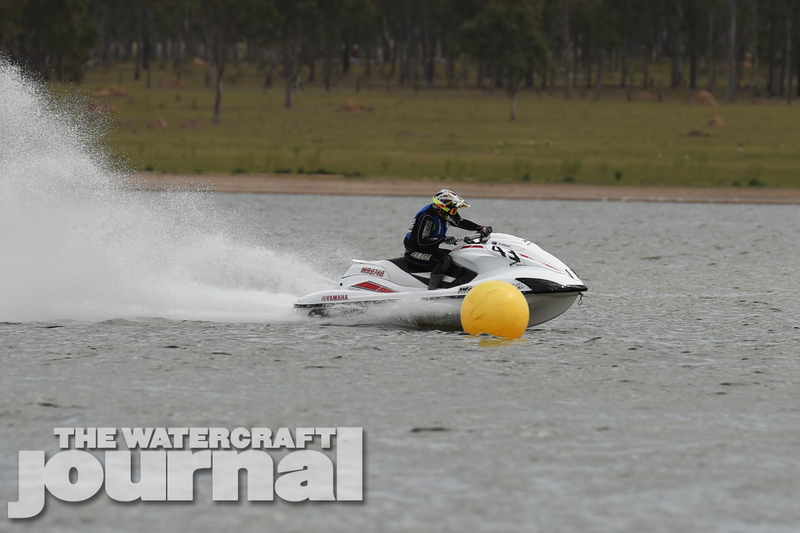 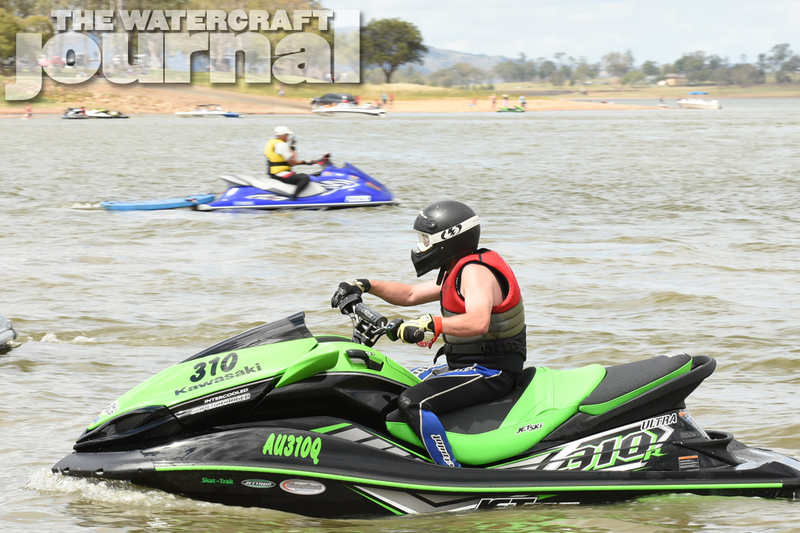 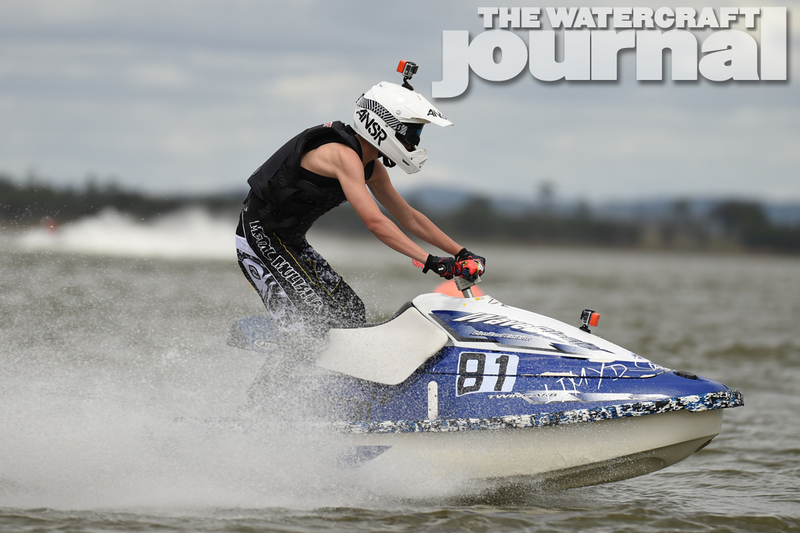 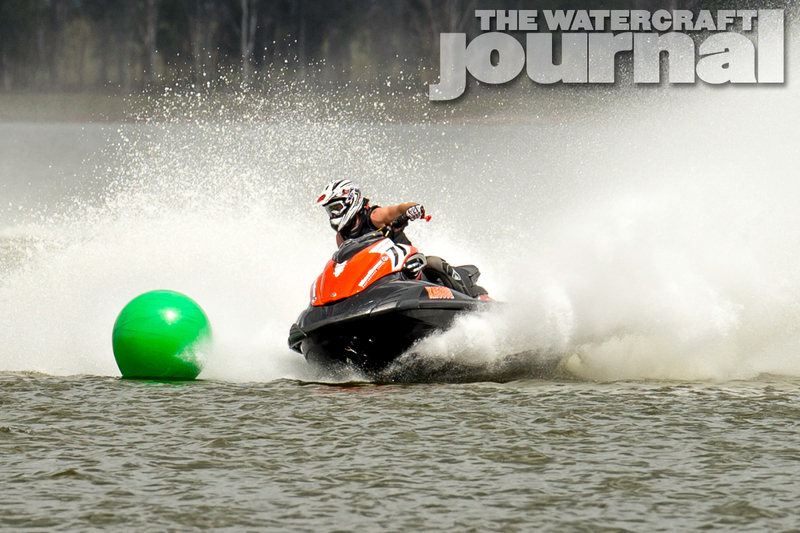 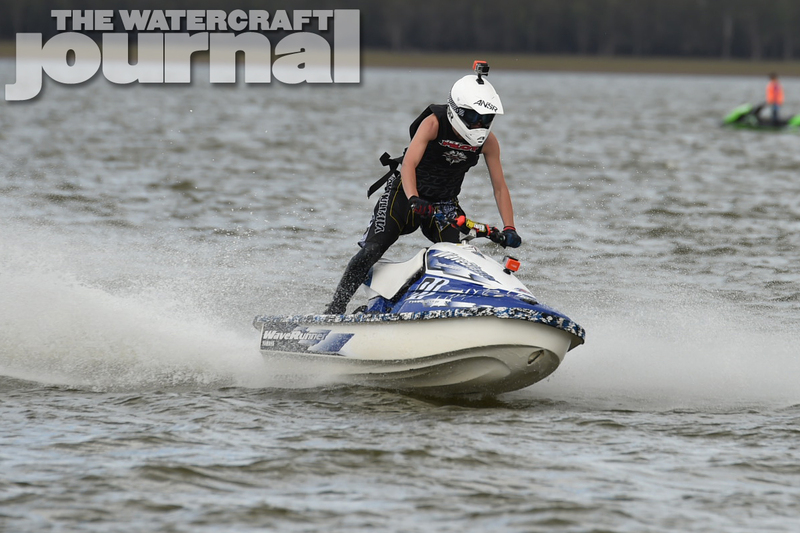 That’s how last weekend’s second round of Queensland Personal Watercraft Club Winter Titles went down. 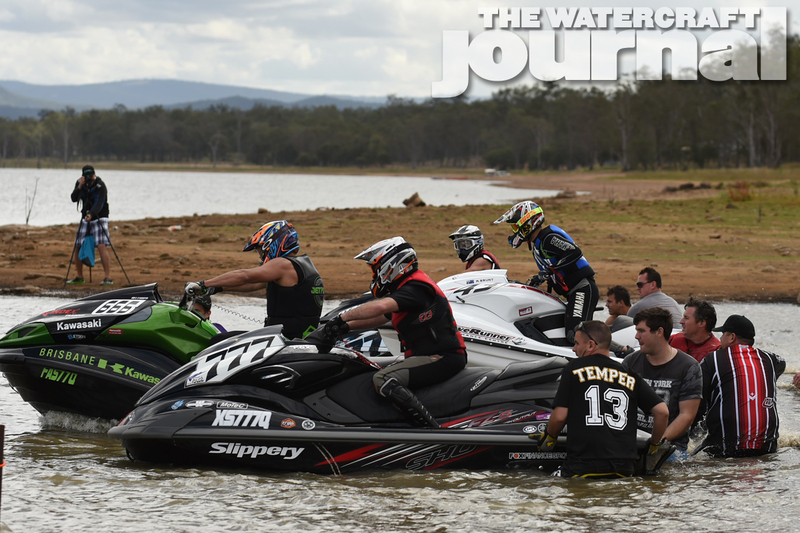 With about 27 competitors racing on Sunday, it wasn’t a bad turn out considering the holiday. 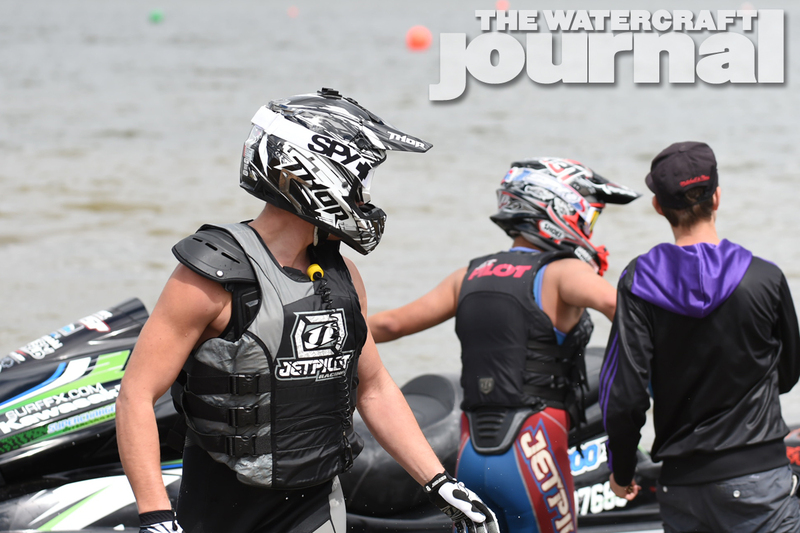 All of the usual classes where on the water: Pro ski, Sport, Beginners Stock, Pro Stock and Open. 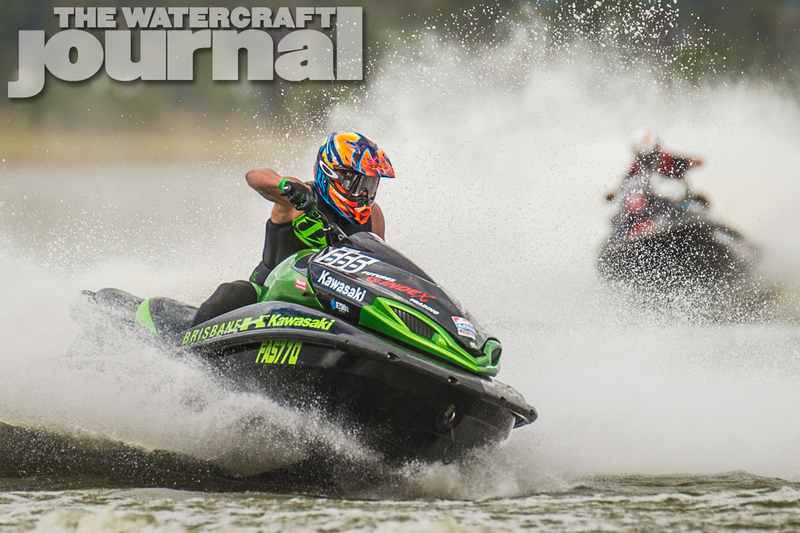 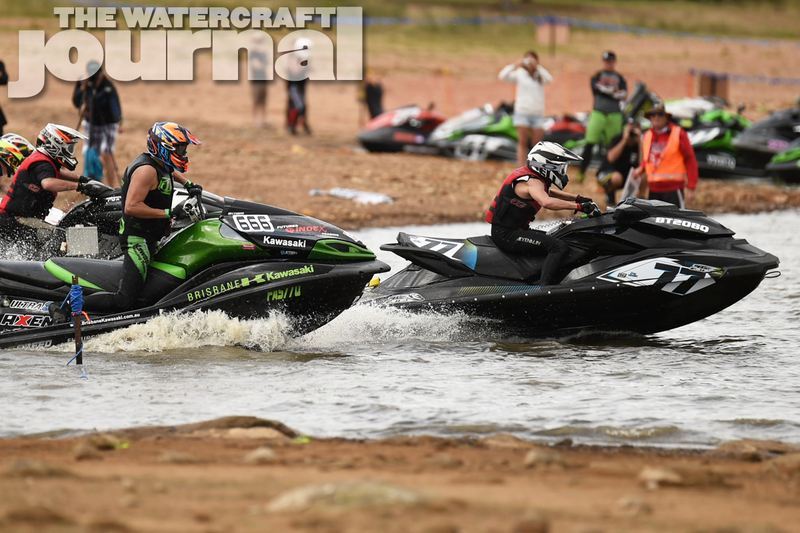 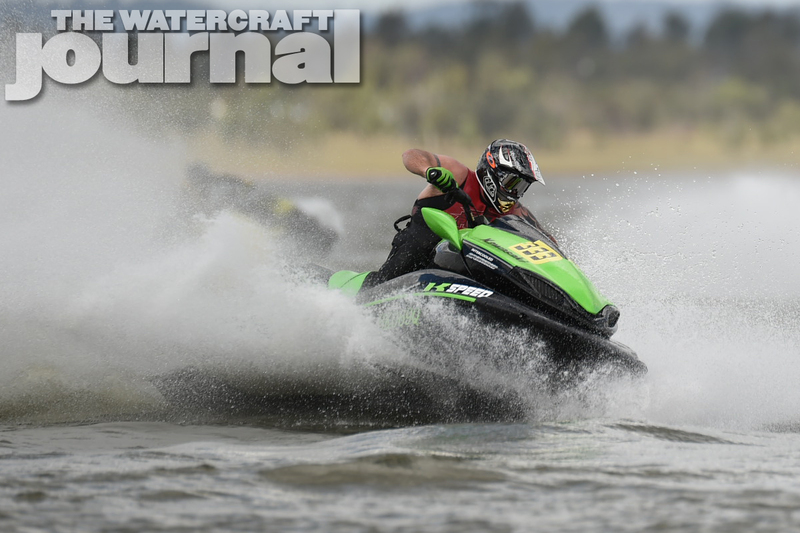 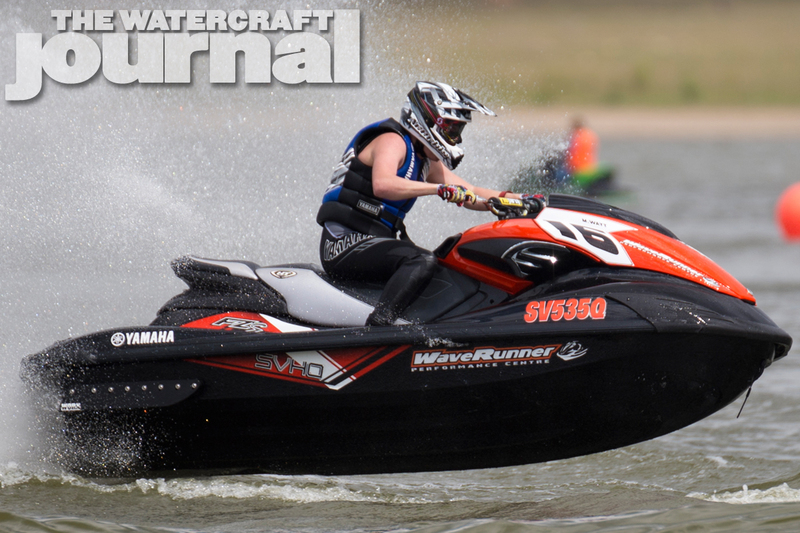 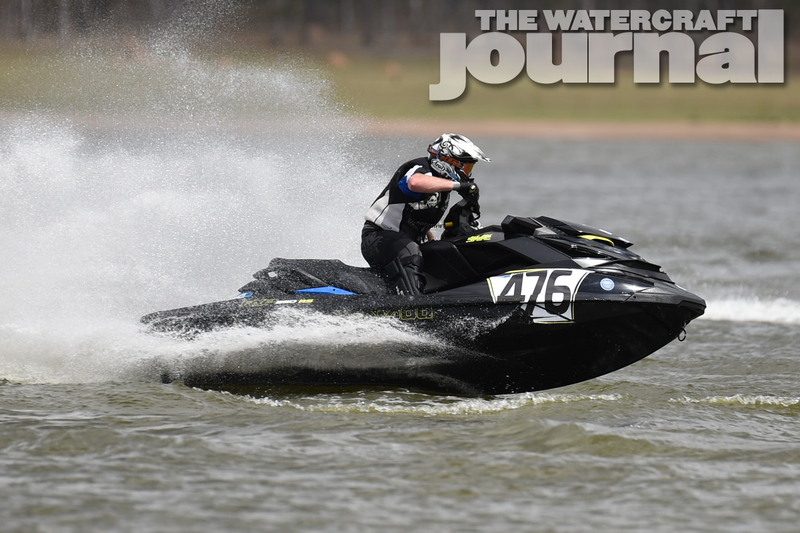 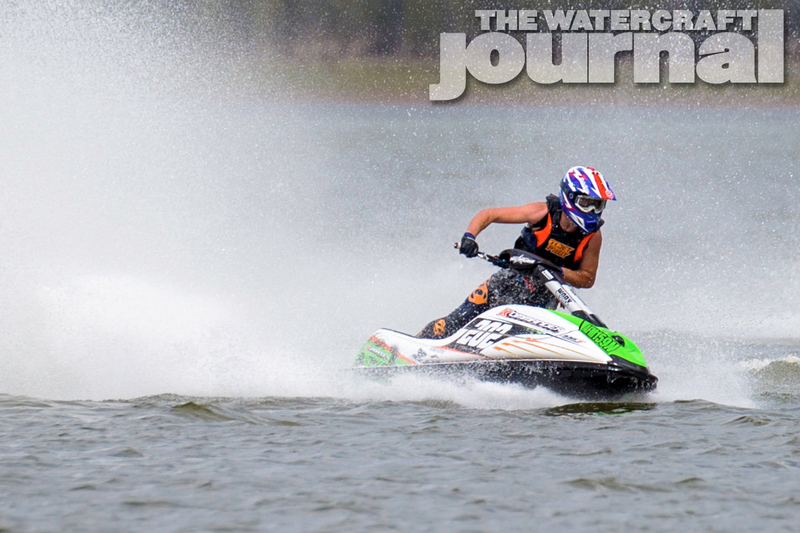 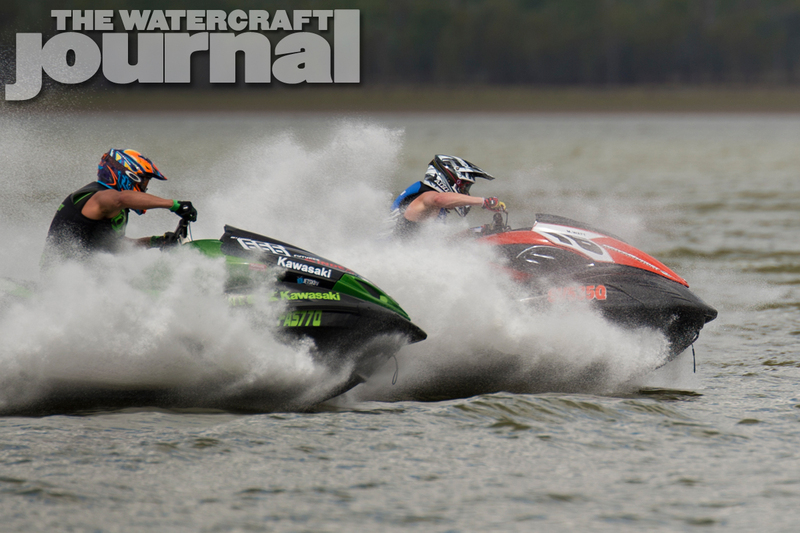 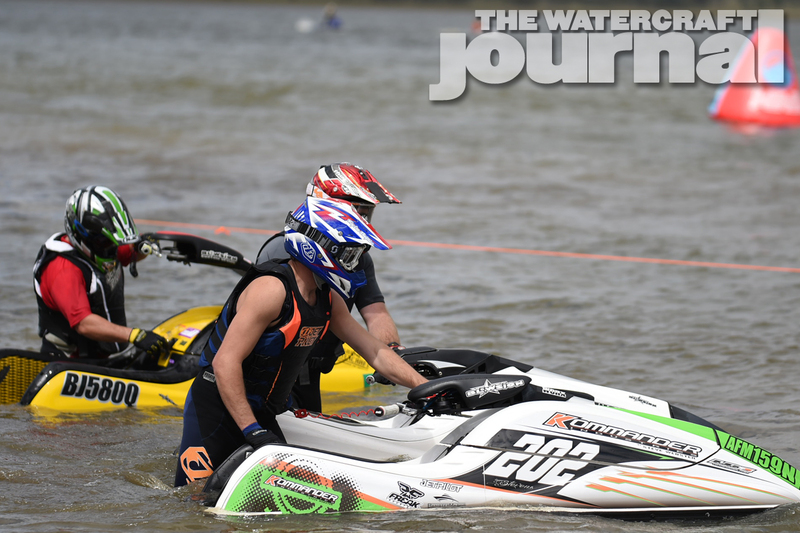 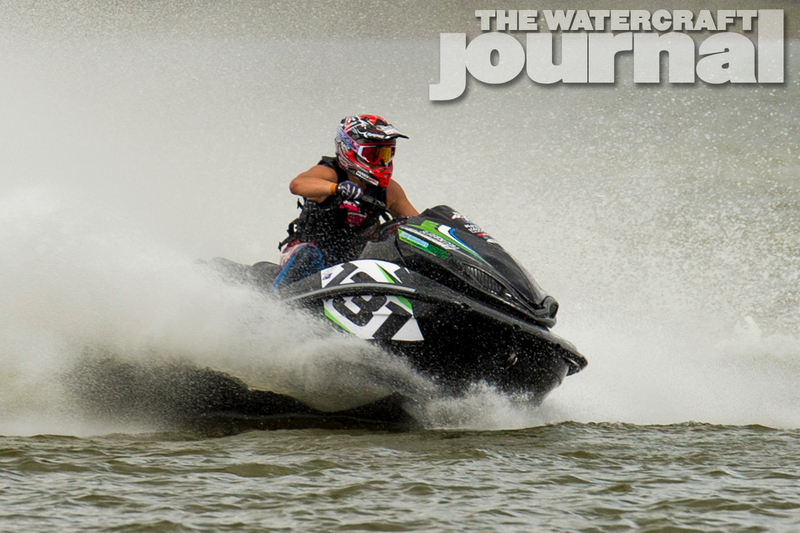 With a great mix of Yamaha’s, Sea-Doo’s, and Kawasaki’s, there was plenty of rivalry on the water. 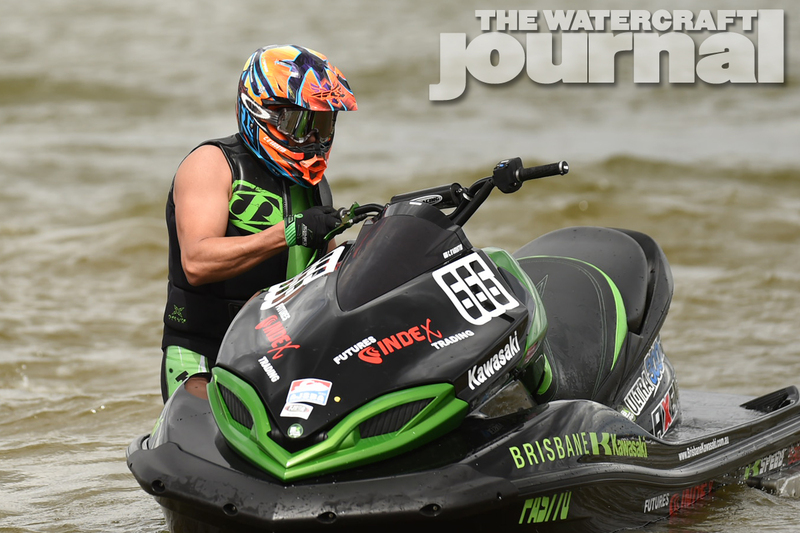 Michael Stevens made another massive effort to make it to Queensland for this event. 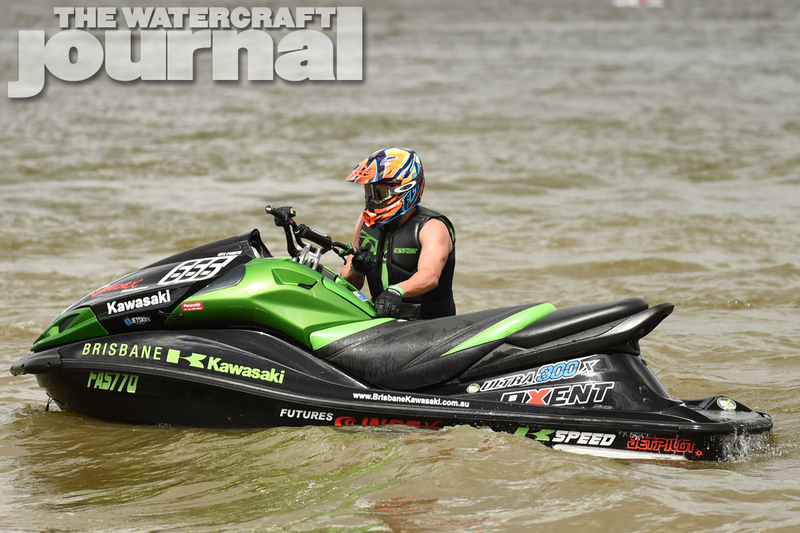 Driving 1,125 miles just to race. 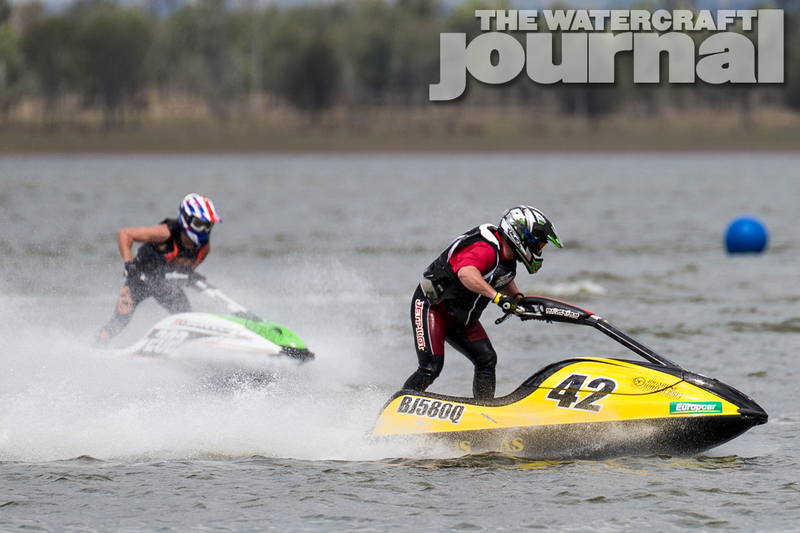 Unfortunately, only two other Open Ski riders came to the Dam. 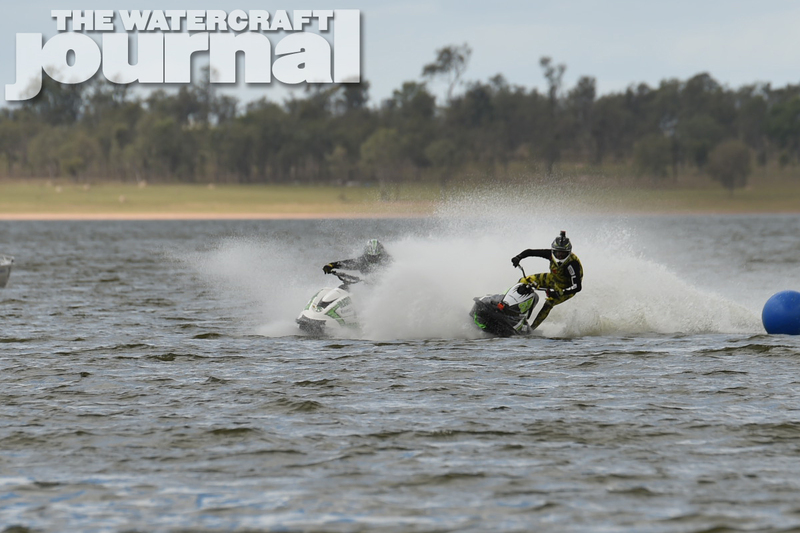 Tony Grey and Zac Humphries gave Mick plenty of close racing until they both had to drop out with mechanical issues. 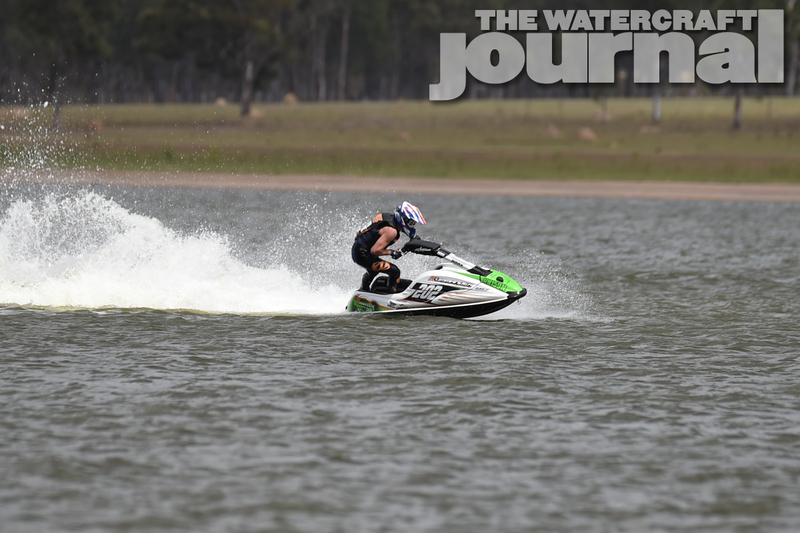 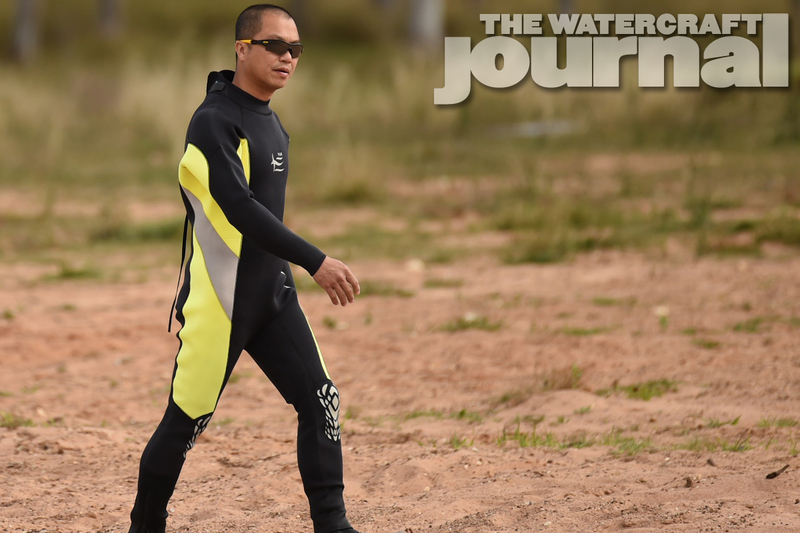 Mick took it pretty well and told The Watercraft Journal it was good to get some training in before the New South Wales series started next week. 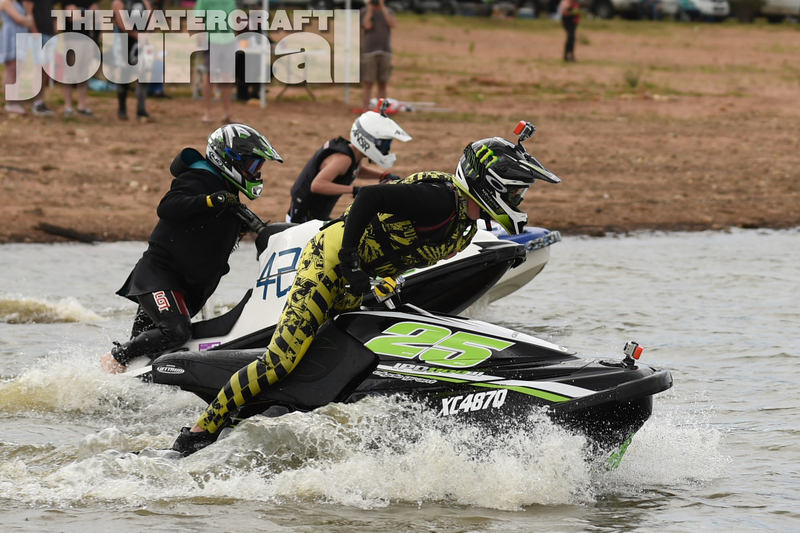 It was good to see some ‘Blaster action out there to with Clyde Grant #25, Bailey Cunningham #81 and Zac Humphries putting on a great show of close racing. 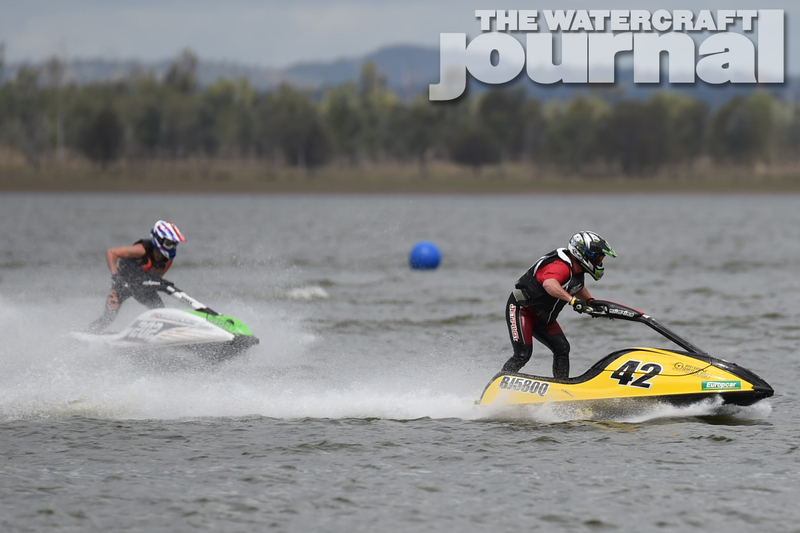 Clyde’s beautiful triple-cylinder WaveBlaster was flying; he managed to take the event with Bailey getting second on his first event (he’s one to watch out for). 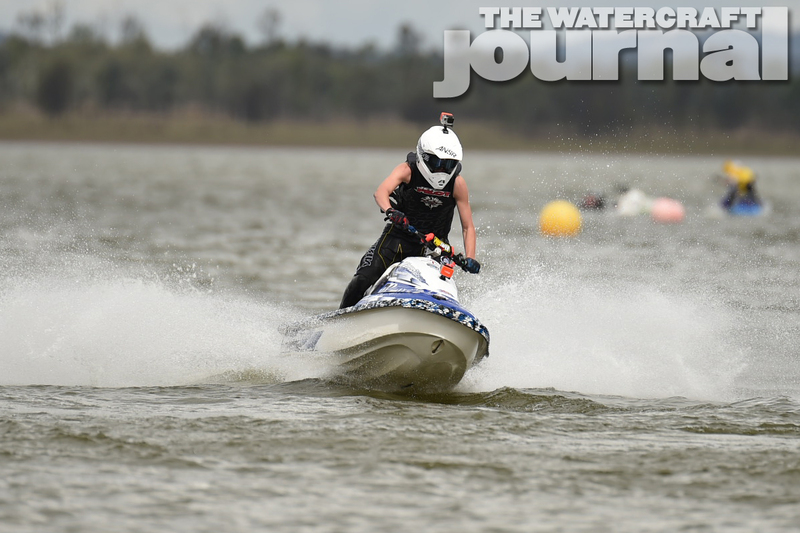 Zac did well backing it up on his X2 after his open ski rounds. 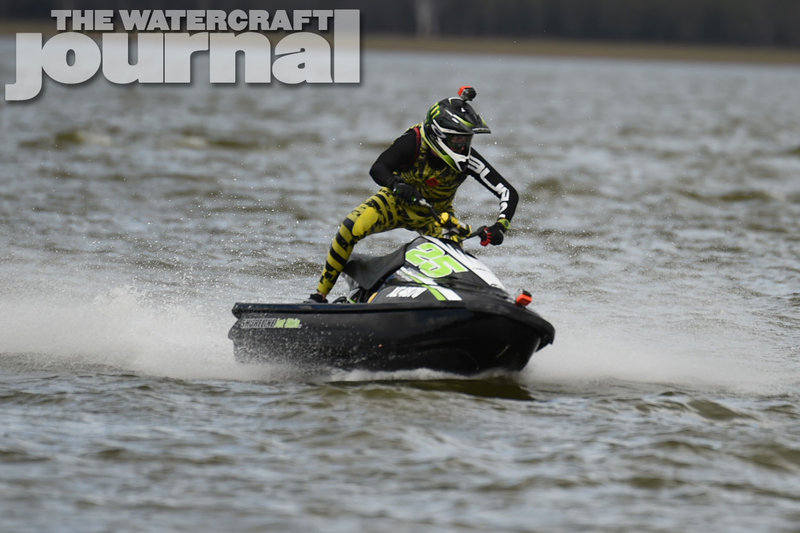 In Beginners Stock, Cameron Martins’ new 2015 Kawasaki Ultra 310R #333 was flying and looked like it was handling the chop well. 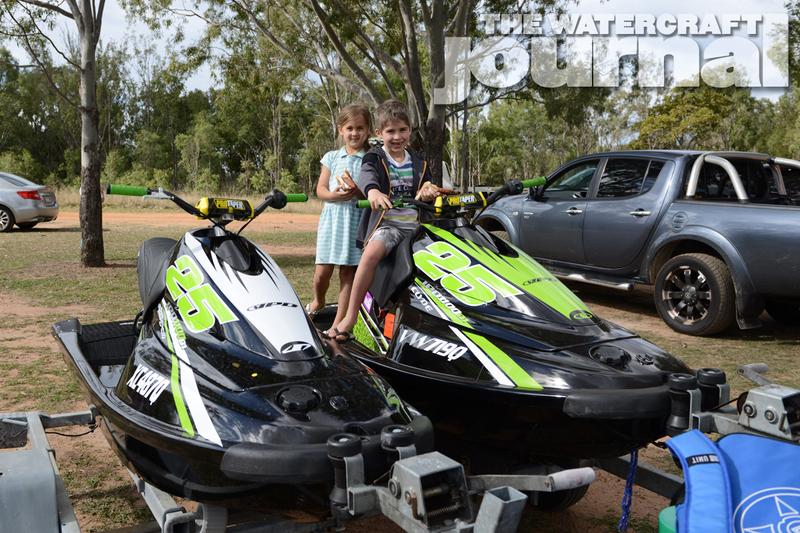 They’re such a beast of a ski, pure beauty and brawn. 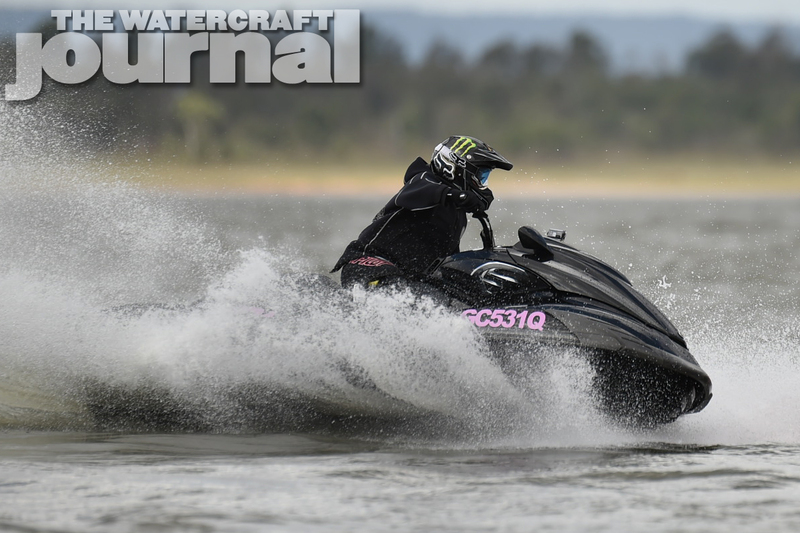 It was also good to see one of the girls out there with Mandy Brown on her black and pink Yamaha. 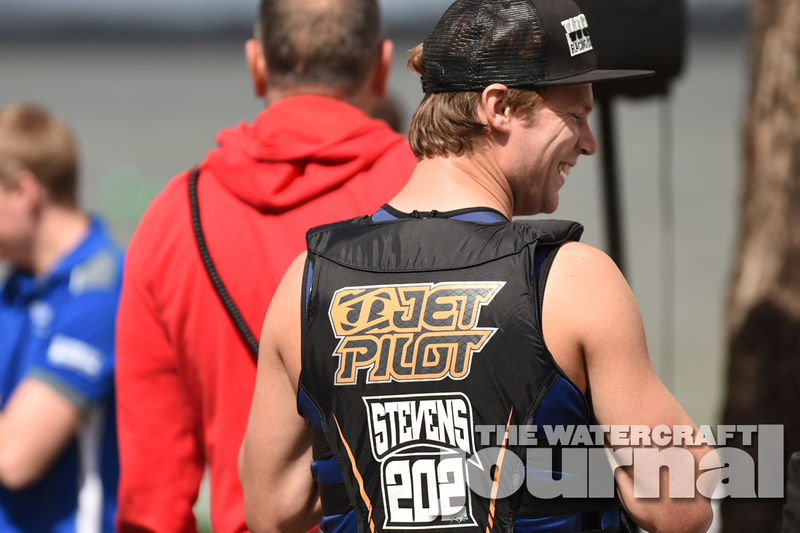 It’s been a while since she raced and impressed all the fellas with her performance. 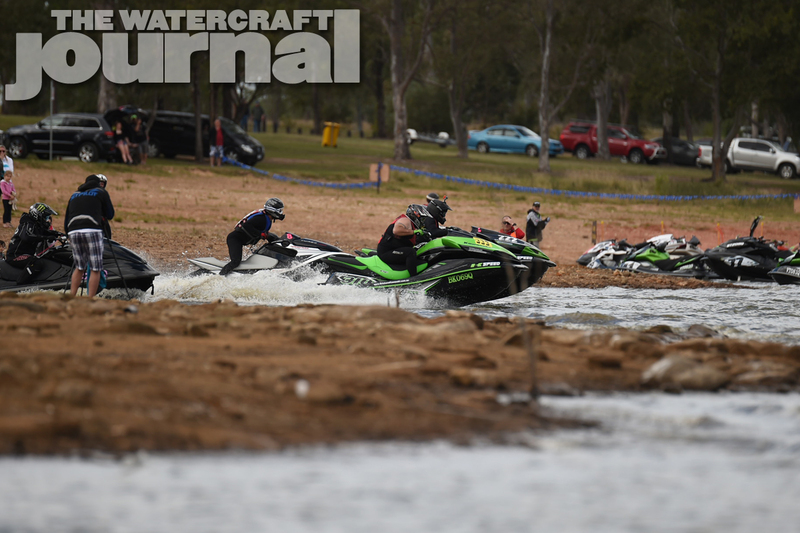 Amateur Stock was closely contested with Anthony Lo and Brett Douglas jostling for points. 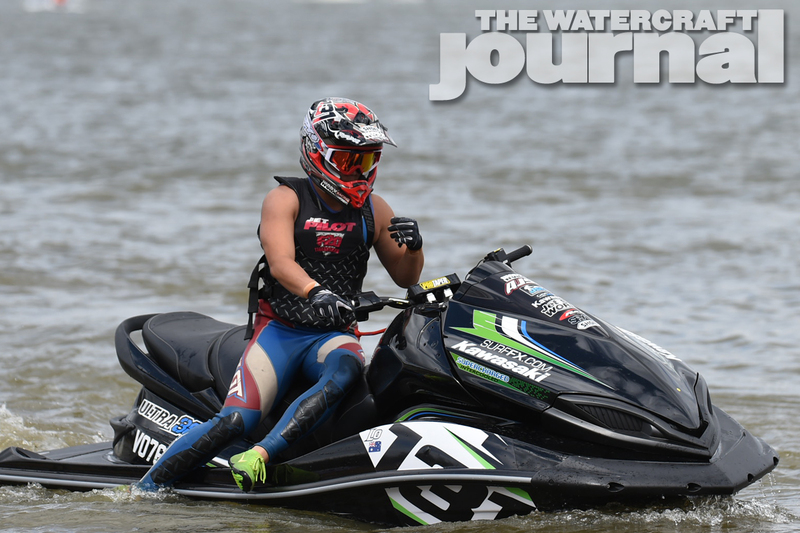 That was wright up until Jamie’s Sea-Doo (#88) and Anthony exchanged a bit of fiberglass, giving Anthony’s #131 that sinking feeling. 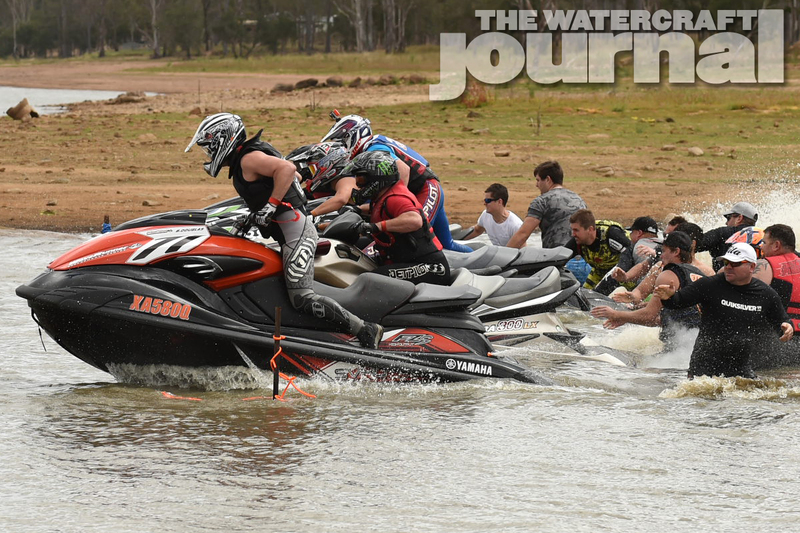 When this happens you realise what a great sport this is. 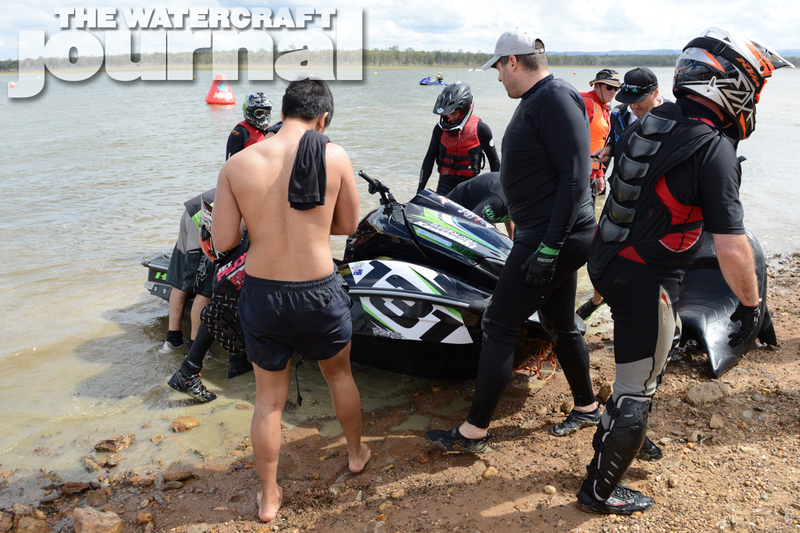 The amount of racers and spectators that dive in a help out was awesome. 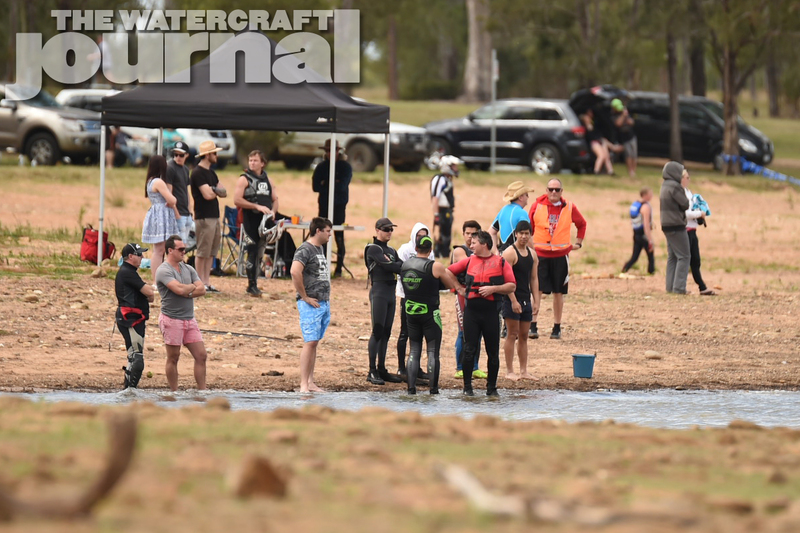 Between racers pulling up to check on everyone and spectators carrying the ski up the beach, it shows how much a family PWC people are. 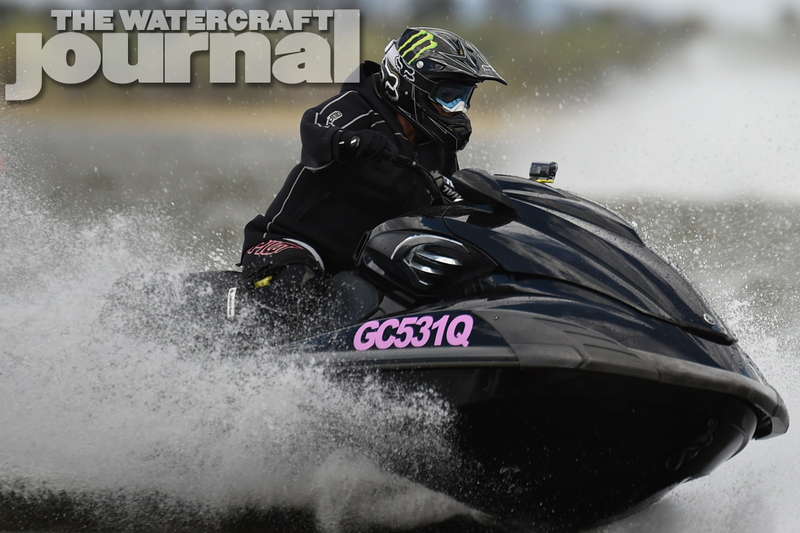 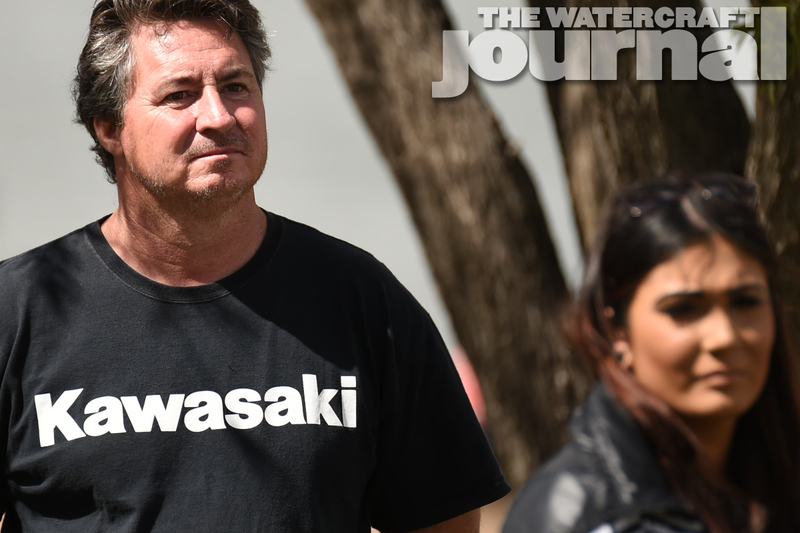 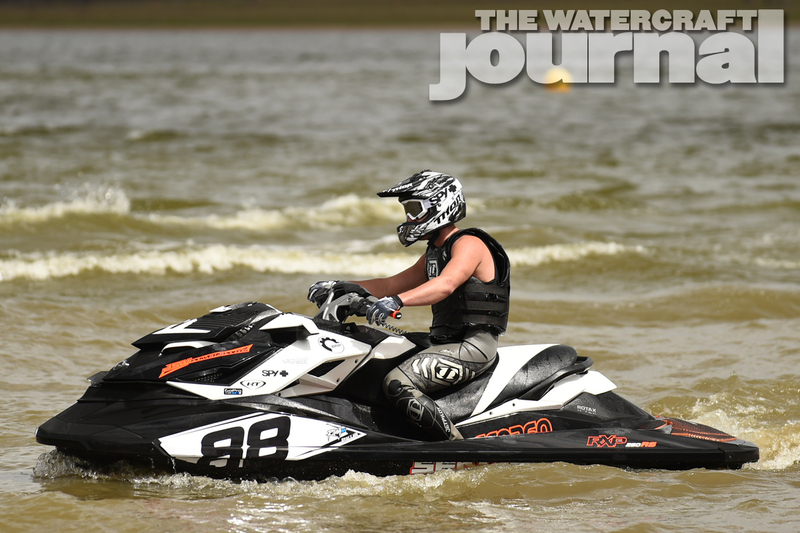 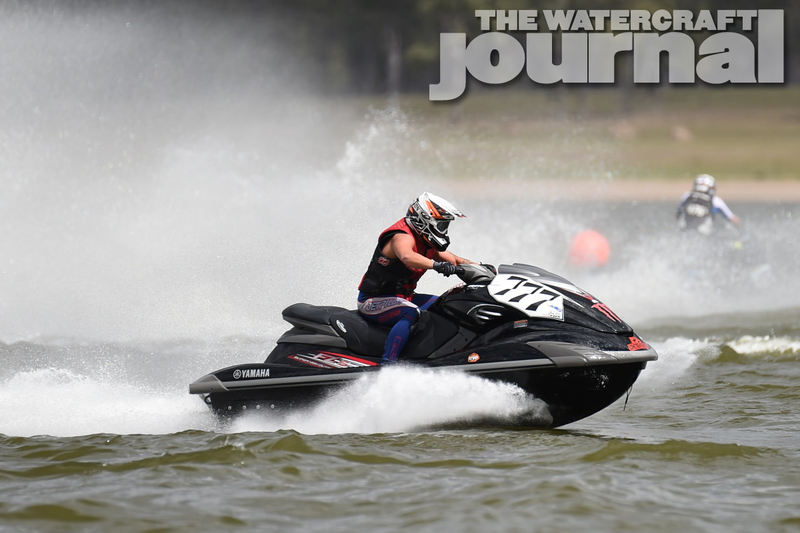 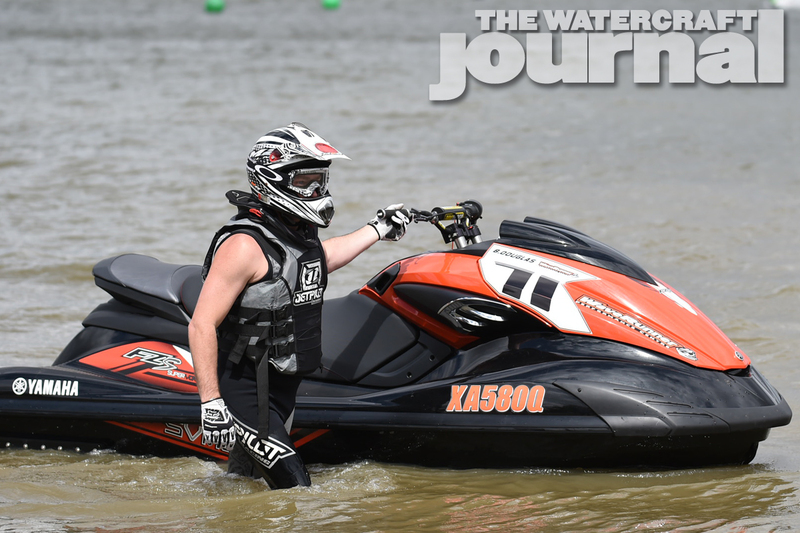 We had a chance to have a chat with Jordan Ross from the WaveRunner Performance Centre about how well his Yamaha is going this year. 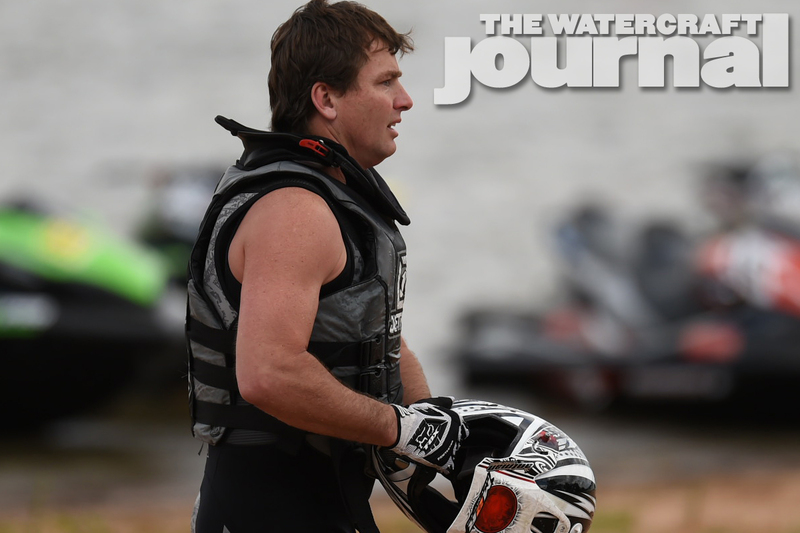 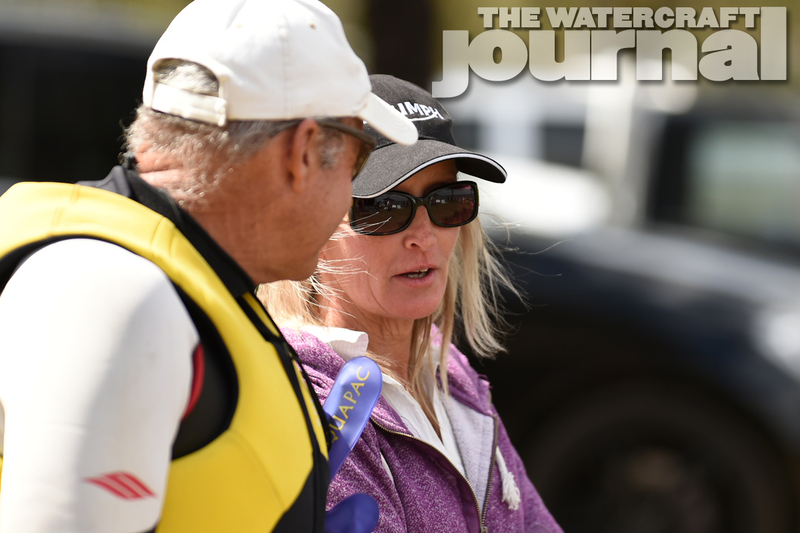 The Watercraft Journal: Jordan how long have you been involved with skis? 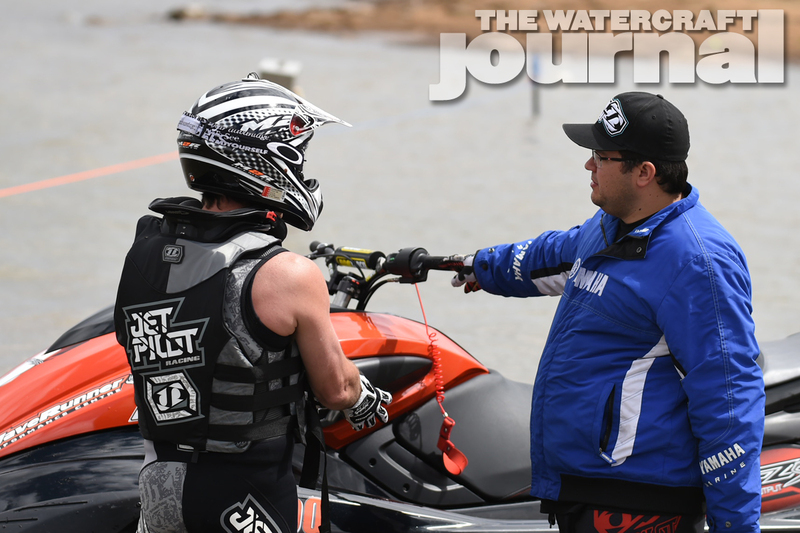 Jordan Ross: I have been in the industry since 1999, where I worked with my cousin, Todd Ross at GCWR. 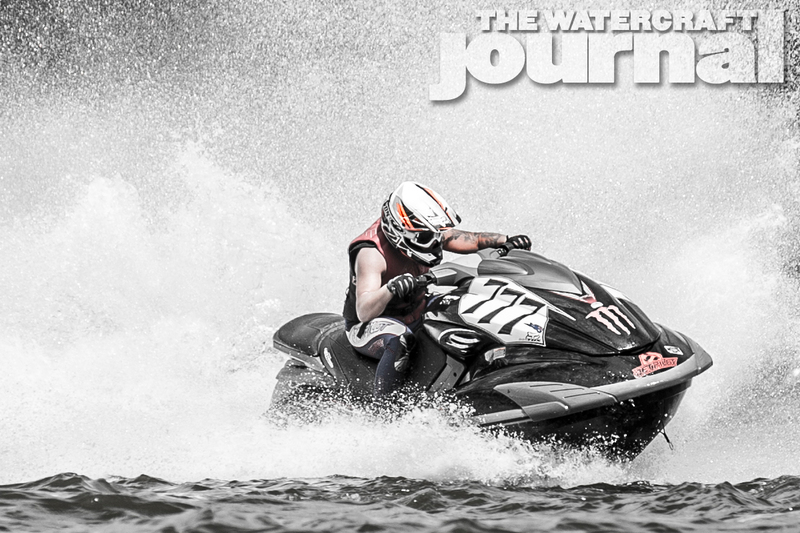 In 2009, WaveRunner Performance Centre was born. 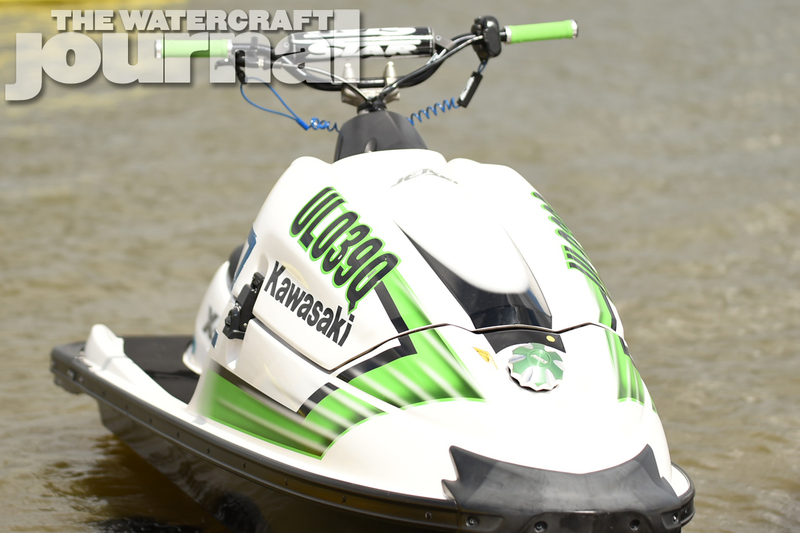 We do everything from mild to wild; from in-house reflashed ECUs and slight modifications to wild turbo and supercharged Yamahas. 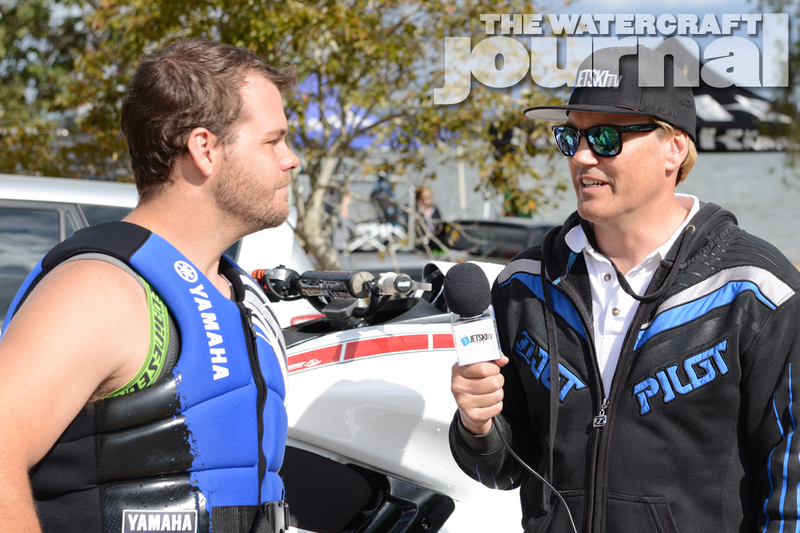 I only work on Yamahas and have ‘blue blood’ from my extensive history with the Yamaha product. 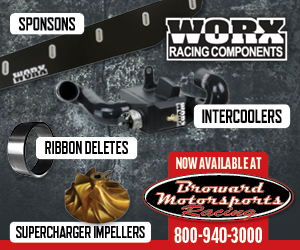 We have our own performance packages and get the maximum performance for the budget. 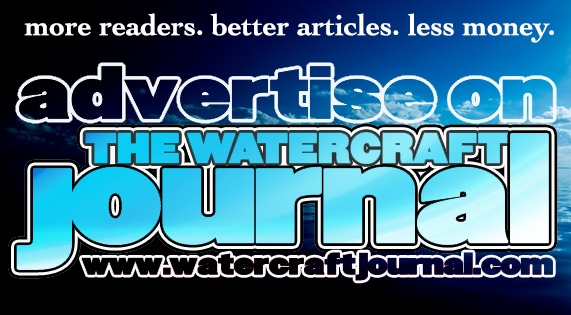 WCJ: Can you tell us about what skis you are running and how your performing this year, and whats your hopes in the future? 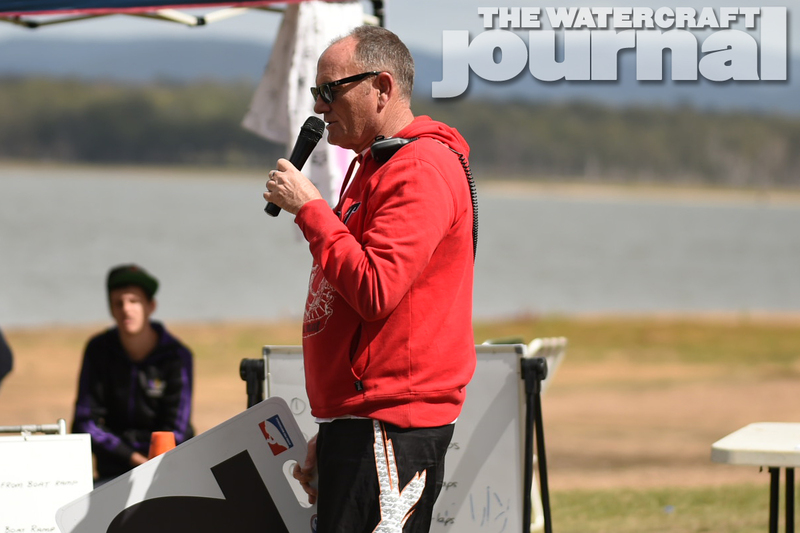 JR: The new FZ SVHO has given us a great platform to develop our stock class race skis, and we are continually pushing the envelope with development. 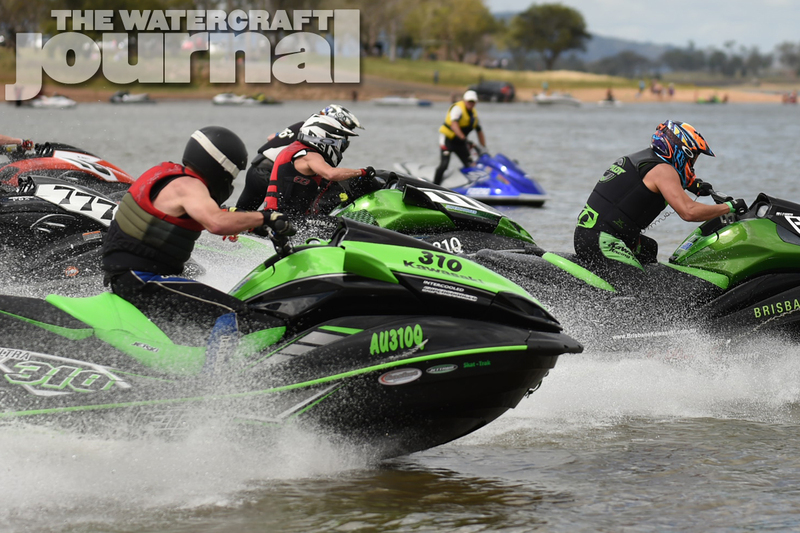 In such a short time, we have been very successful with the new FZ, we placed first and third in the Australian championships, finished first and second in the Bridge-to-Bridge as well as taking out the Queensland titles and the National titles at Redcliffe. 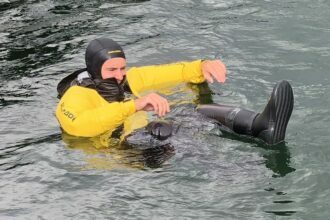 So we have had great success to date, and the scary thing is that there is plenty more potential in the FZ SVHO platform. 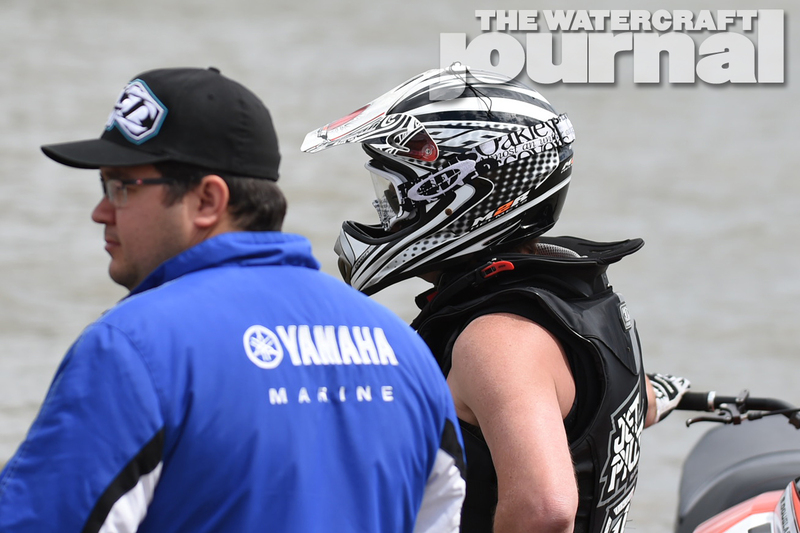 We work hard on really finessing the basics of the FZ, as the handling characteristics are great to start with. 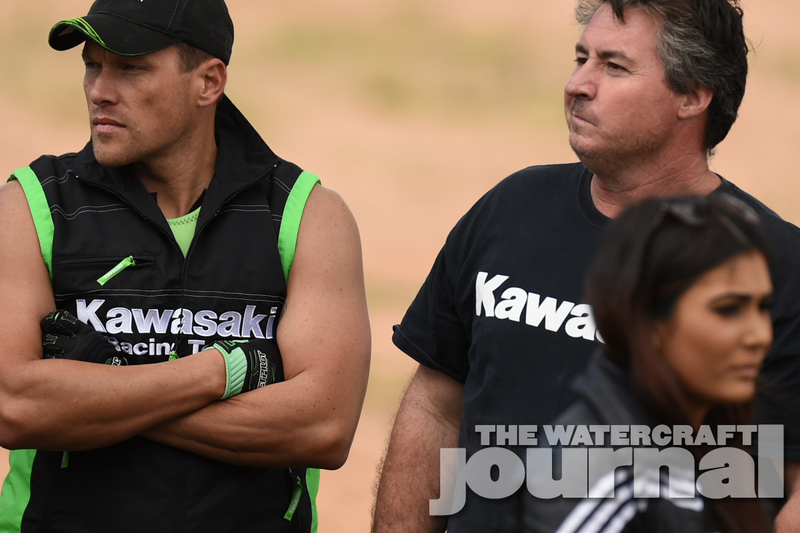 We have gone in a different development direction than most of the race teams in the USA, so the aim is to get over there next year and find out where we are against those teams. 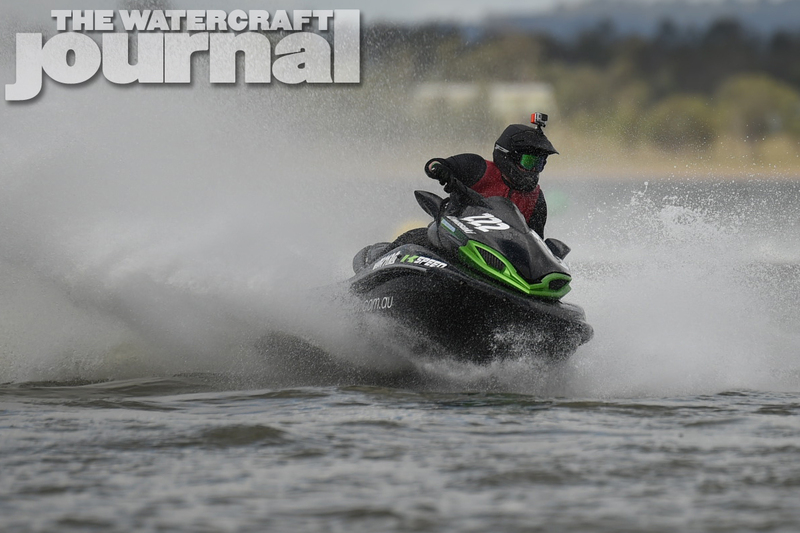 The challenge of Stock class racing is that there are limited changes that can be made to the Stock watercraft, so every aspect of what you can do must be maximized. 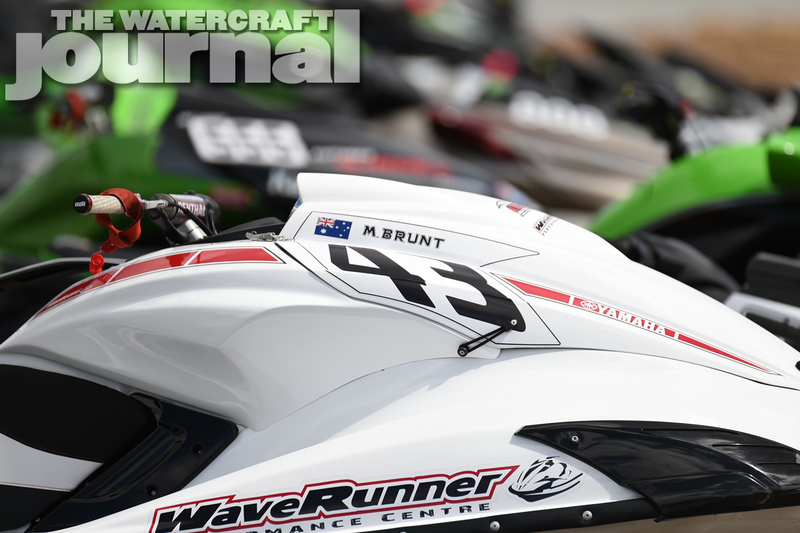 One area where the most gains are made in Stock class racing is the ECU. 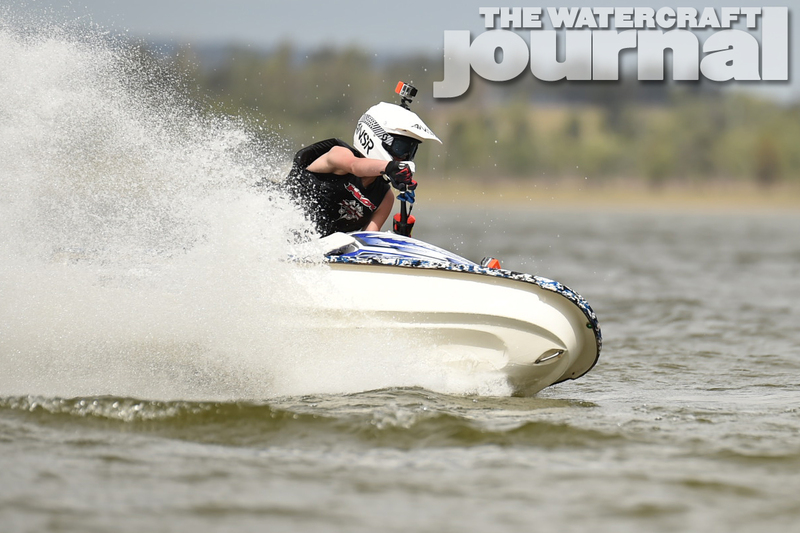 We run Motec ECUs and we spend a lot of time fine tuning the mapping and fine tuning all the little areas of the ski, which is very rewarding when you make a gain. 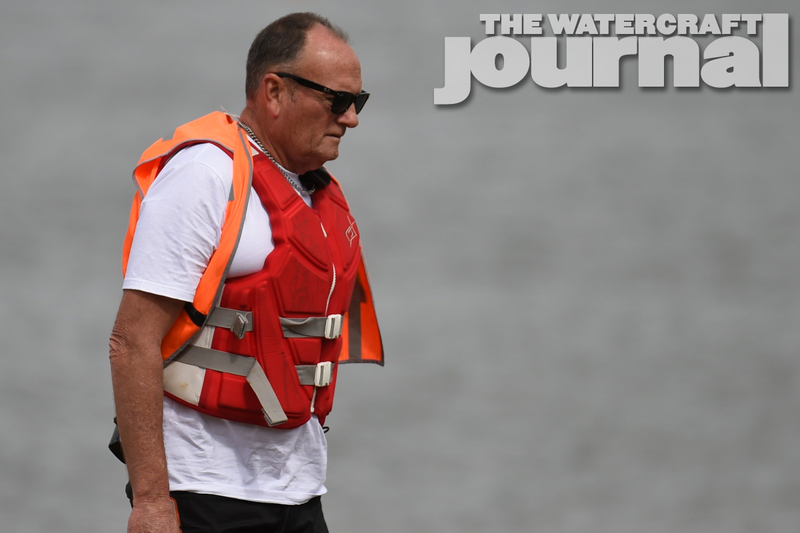 WCJ: And with regards to our Open boat? 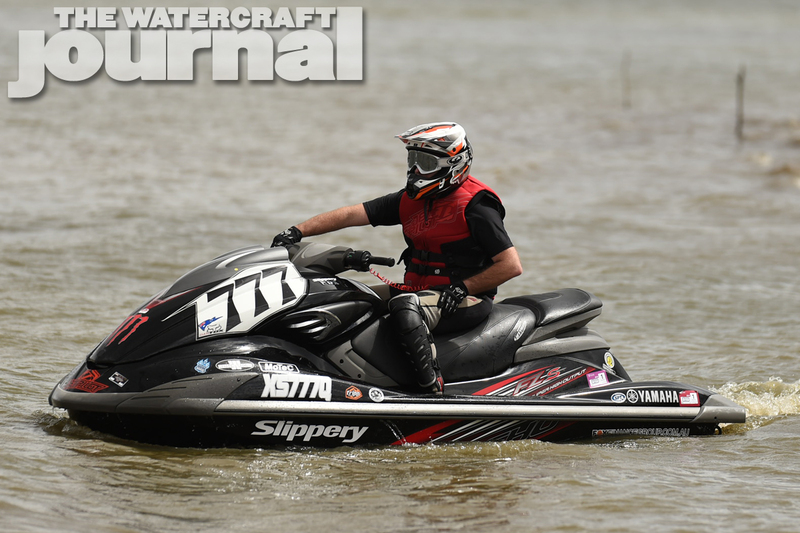 JR: The turbo FZR was only built earlier this year. 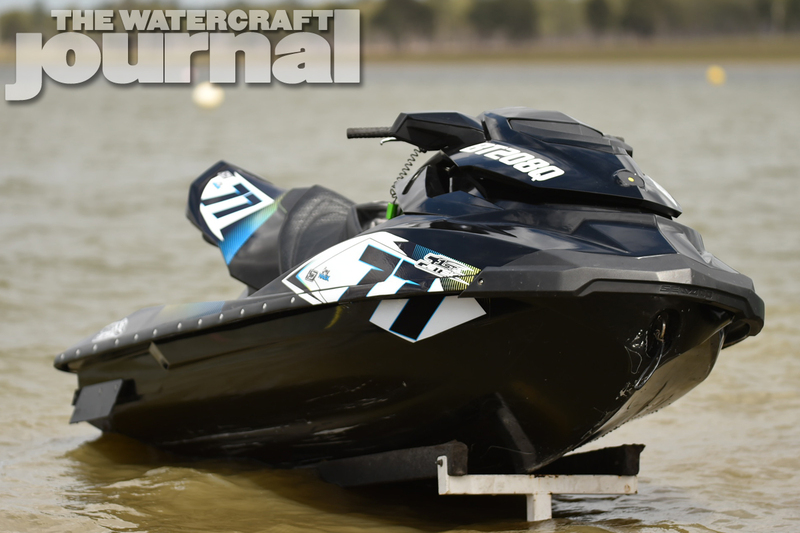 It is still a work in progress as it was the very first WR1 hull finished and raced. 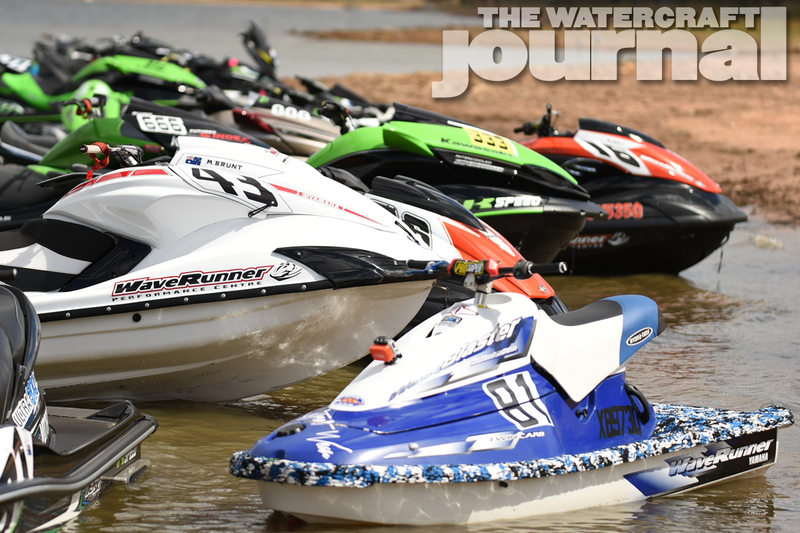 It is extremely fast, and we are just ironing out some development issues we have had, and then the plan is to also take it over to Havasu and put it up against the best. 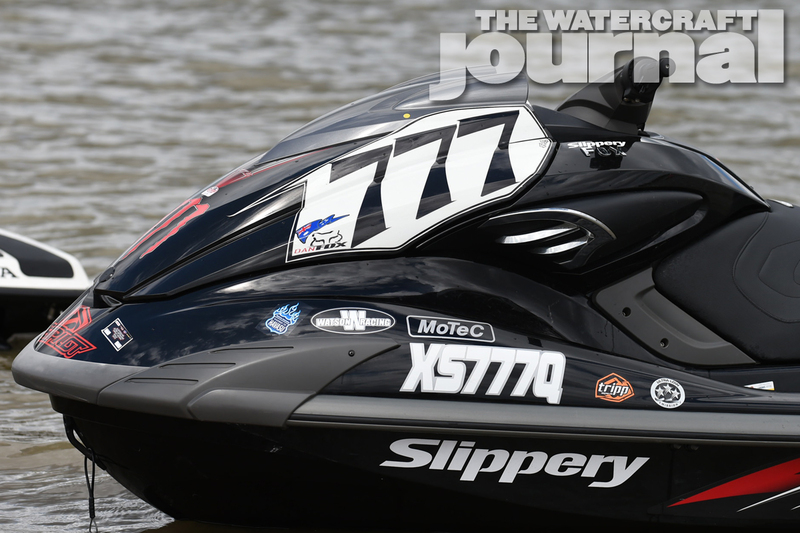 There has been no expense spared, it has everything there is to have on it, and it has the new M130 Motec which is a great bit of a kit. 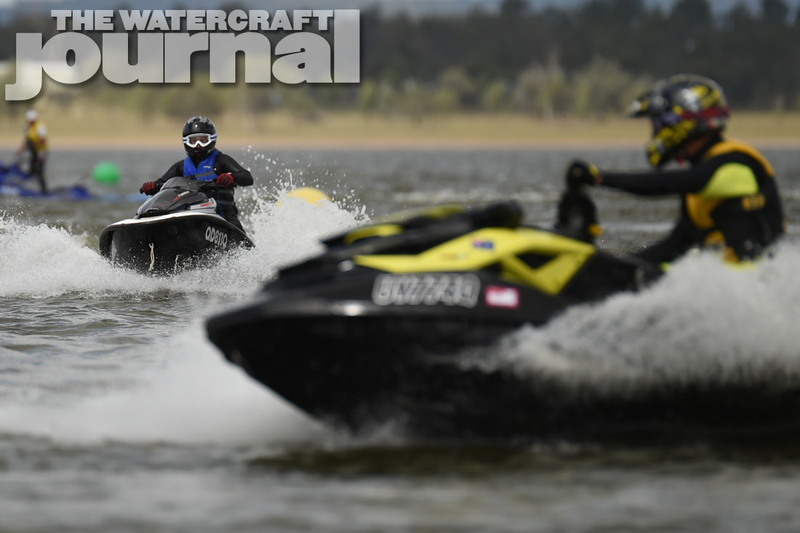 Our engine development has been relentless over the past few years and we now have very strong engines which we want to put up against the worlds best operators. 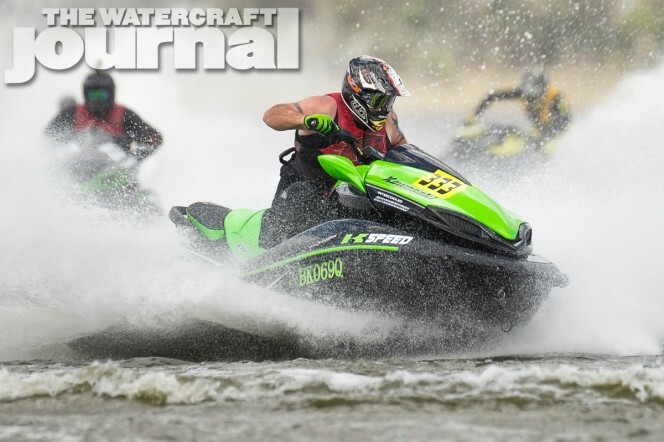 WCJ: And how did this weekend’s racing go? 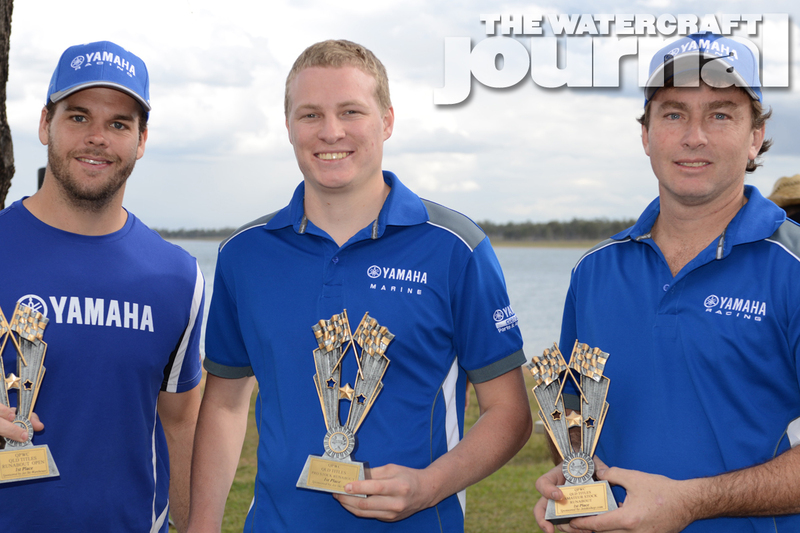 JR: It was great to see our hard work pay off at the Queensland titles, taking out all three classes we had skis in. 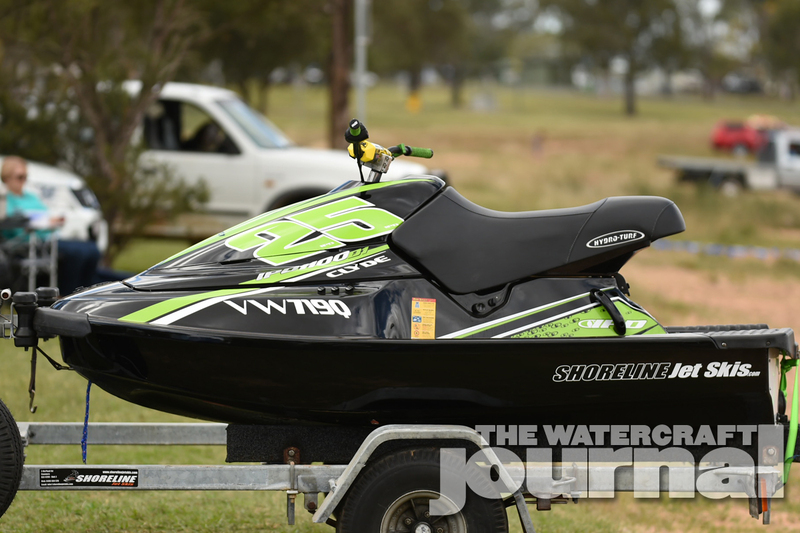 It was also great to see Brett Douglas, who had just purchased his new Yamaha FZ SVHO from us recently and had it built by us win his class. 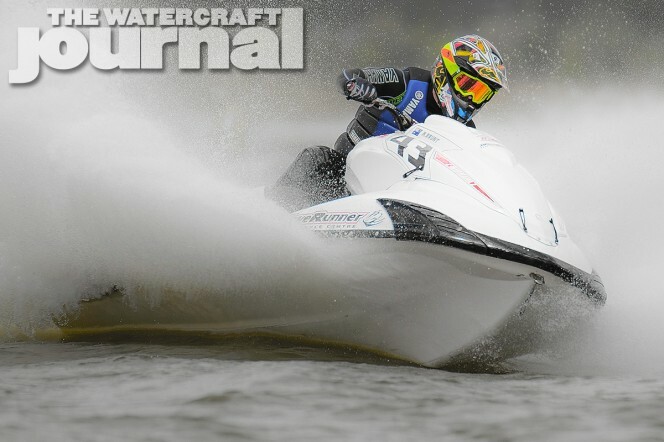 It showed that we will build customer boats to the exact same spec as we race. 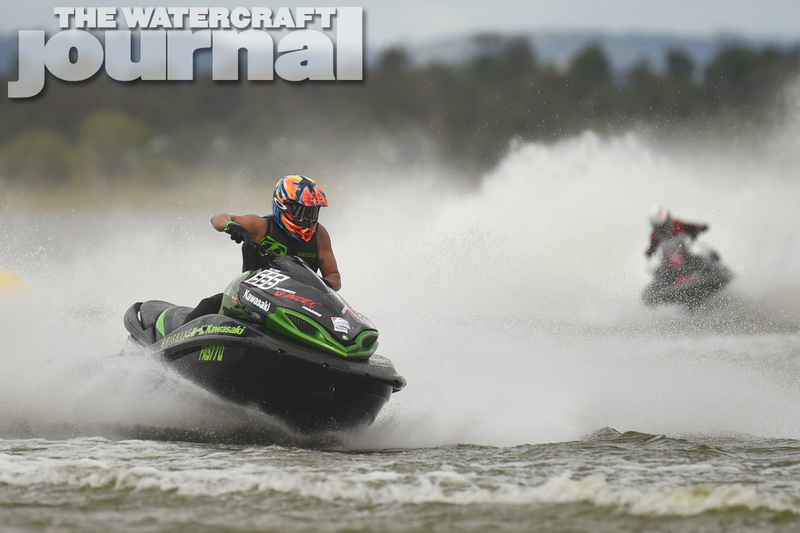 We had some slight issues with the Open boat in Race 1, but it wasn’t enough for us to sit the day out, and it was good that our hasty repairs lasted the day and Matt was able to get the win. 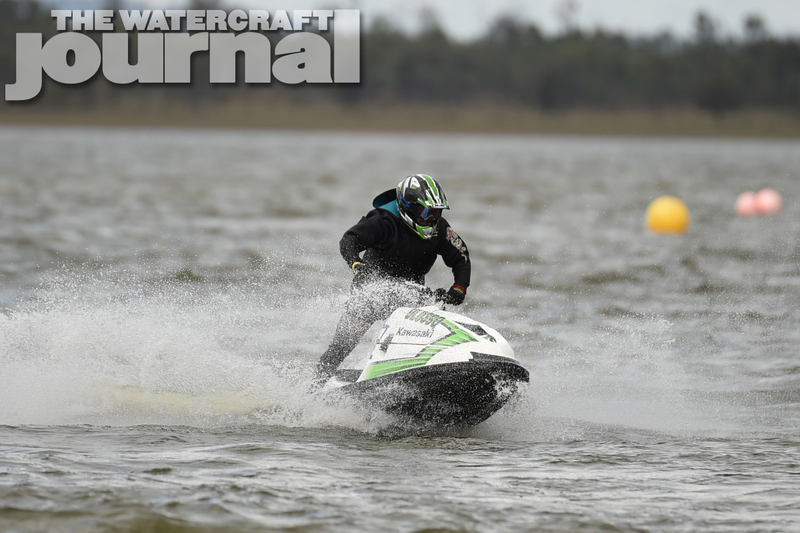 Mitch on the FZR SVHO in Stock class is just going from strength to strength, as we push the development even more on the SVHO. 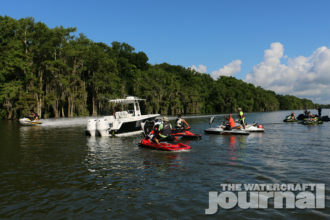 All images courtesy of Photo by Skip. 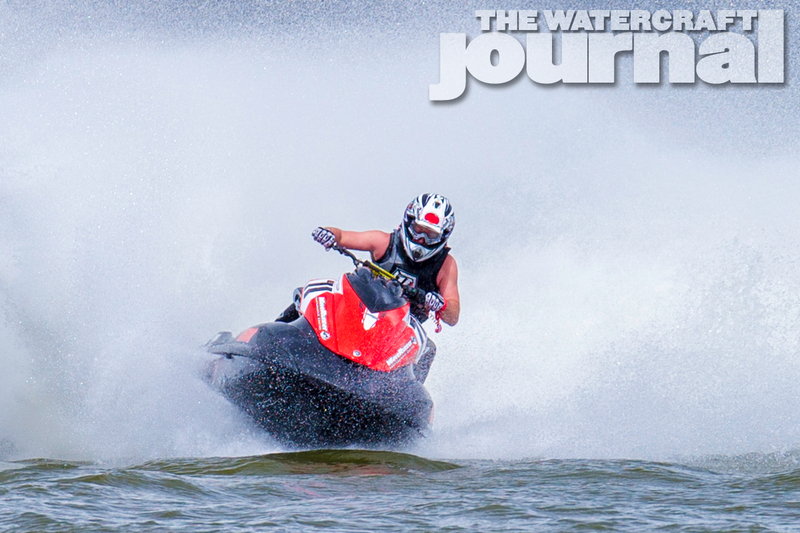 For prints or downloadable versions, please click the hyperlink.